UK hazard signs - 300 x 600 mm acid self adhesive vinyl labels. UK hazard signs - 300 x 600 mm acid 1.2 mm rigid plastic signs. UK hazard signs - 300 x 600 mm acid 1.2 mm rigid plastic signs with self adhesive backing. 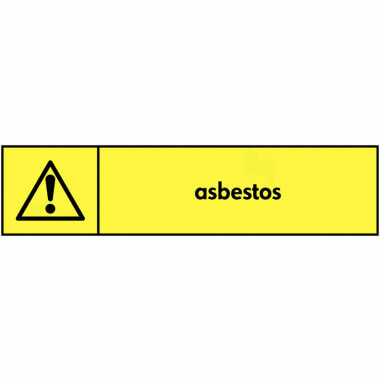 UK hazard signs - 70 x 50 caution May contain asbestos self adhesive vinyl labels. UK hazard signs - 70 x 50 warning contains asbestos self adhesive vinyl labels. UK hazard signs - 70 x 50 warning contains asbestos 1.2 mm rigid plastic signs. UK hazard signs - 70 x 50 caution May contain asbestos 1.2 mm rigid plastic signs. UK hazard signs - 150 x 125 mm caution asbestos self adhesive vinyl labels. UK hazard signs - A5 warning asbestos self adhesive vinyl labels. UK hazard signs - A5 caution asbestos self adhesive vinyl labels. 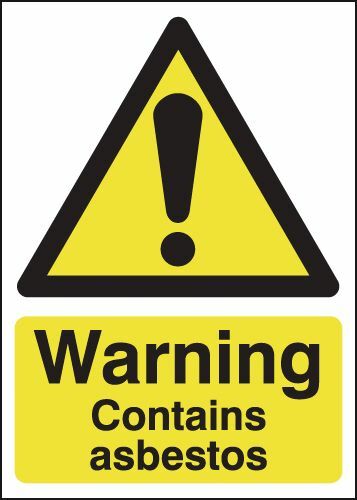 UK hazard signs - 250 x 100 mm caution May contain asbestos self adhesive vinyl labels. UK hazard signs - 150 x 125 mm caution asbestos 1.2 mm rigid plastic signs. UK hazard signs - 250 x 200 mm caution asbestos self adhesive vinyl labels. UK hazard signs - 70 x 50 warning contains asbestos 1.2 mm rigid plastic signs with self adhesive backing. UK hazard signs - 70 x 50 caution May contain asbestos 1.2 mm rigid plastic signs with self adhesive backing. UK hazard signs - A5 warning asbestos 1.2 mm rigid plastic signs. UK hazard signs - A5 caution asbestos 1.2 mm rigid plastic signs. UK hazard signs - 250 x 100 mm caution May contain asbestos 1.2 mm rigid plastic signs. UK hazard signs - 250 x 200 mm caution asbestos 1.2 mm rigid plastic signs. UK hazard signs - A3 caution asbestos self adhesive vinyl labels. UK hazard signs - A3 warning asbestos self adhesive vinyl labels. UK hazard signs - A4 warning asbestos self adhesive vinyl labels. UK hazard signs - A4 caution asbestos self adhesive vinyl labels. 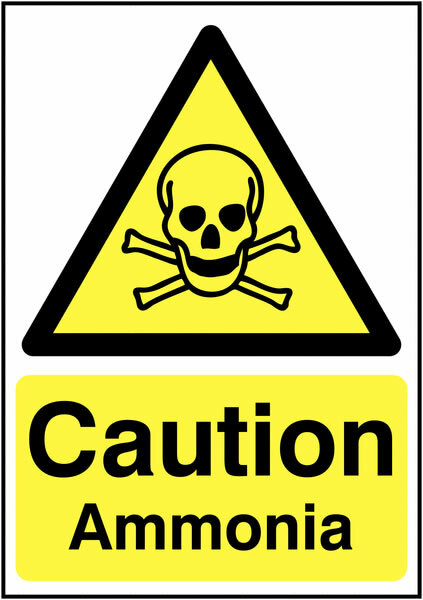 UK hazard signs - 150 x 125 mm caution asbestos 1.2 mm rigid plastic signs with self adhesive backing. UK hazard signs - A4 caution asbestos 1.2 mm rigid plastic signs. UK hazard signs - A4 warning asbestos 1.2 mm rigid plastic signs. UK hazard signs - A3 warning asbestos 1.2 mm rigid plastic signs. UK hazard signs - A3 caution asbestos 1.2 mm rigid plastic signs. UK hazard signs - A5 caution asbestos 1.2 mm rigid plastic signs with self adhesive backing. UK hazard signs - A5 warning asbestos 1.2 mm rigid plastic signs with self adhesive backing. UK hazard signs - 250 x 200 mm caution asbestos 1.2 mm rigid plastic signs with self adhesive backing. A2 420 x 598 mm Caution asbestos self adhesive vinyl labels. UK hazard signs - A2 caution asbestos self adhesive vinyl labels. A2 420 x 598 mm Caution asbestos 1.2 mm rigid plastic signs. UK hazard signs - A2 caution asbestos 1.2 mm rigid plastic signs. UK hazard signs - A1 caution asbestos self adhesive vinyl labels. UK hazard signs - A1 caution asbestos 1.2 mm rigid plastic signs. UK hazard signs - A3 caution asbestos 1.2 mm rigid plastic signs with self adhesive backing. UK hazard signs - A3 warning asbestos 1.2 mm rigid plastic signs with self adhesive backing. A2 420 x 598 mm Caution asbestos 1.2 mm rigid plastic signs with s/a backing. UK hazard signs - A2 caution asbestos 1.2 mm rigid plastic signs with self adhesive backing. UK hazard signs - A1 caution asbestos 1.2 mm rigid plastic signs with self adhesive backing. UK hazard signs - A4 caution asbestos 1.2 mm rigid plastic signs with self adhesive backing. UK hazard signs - A4 warning asbestos 1.2 mm rigid plastic signs with self adhesive backing. UK hazard signs - A5 caution battery charging self adhesive vinyl labels. UK hazard signs - A5 caution battery charging 1.2 mm rigid plastic signs. UK hazard signs - 250 x 200 mm caution battery charging self adhesive vinyl labels. UK hazard signs - 300 x 250 mm caution battery charging self adhesive vinyl labels. 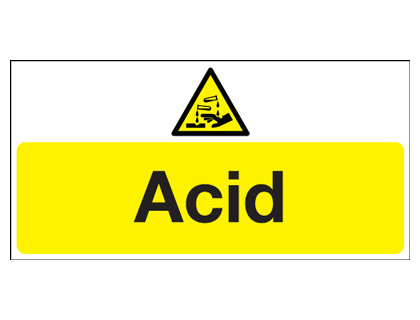 UK hazard signs - 400 x 300 mm caution battery acid self adhesive vinyl labels. 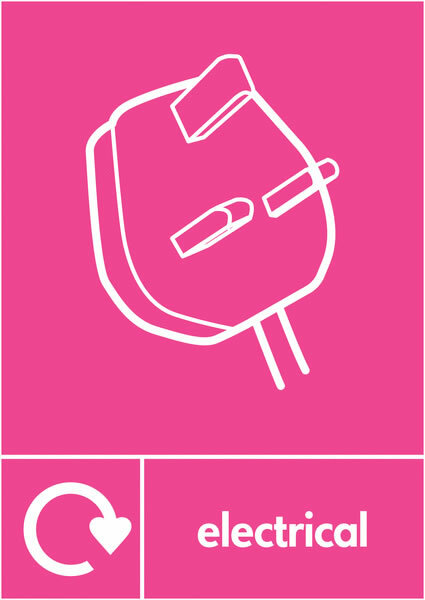 UK hazard signs - A3 caution battery charging self adhesive vinyl labels. UK hazard signs - 250 x 200 mm caution battery charging 1.2 mm rigid plastic signs. UK hazard signs - A4 caution battery charging self adhesive vinyl labels. UK hazard signs - 300 x 250 mm caution battery charging 1.2 mm rigid plastic signs. UK hazard signs - A4 caution battery charging 1.2 mm rigid plastic signs. 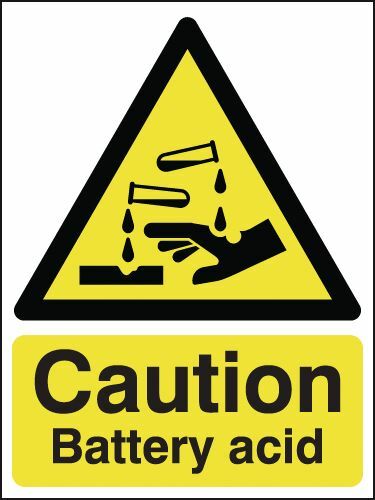 UK hazard signs - 400 x 300 mm caution battery acid 1.2 mm rigid plastic signs. UK hazard signs - A3 caution battery charging 1.2 mm rigid plastic signs. UK hazard signs - 600 x 450 mm battery charging area explosive self adhesive vinyl labels. UK hazard signs - 400 x 600 mm battery charging area explosive self adhesive vinyl labels. UK hazard signs - 250 x 200 mm caution battery charging 1.2 mm rigid plastic signs with self adhesive backing. A2 420 x 598 mm Caution battery charging self adhesive vinyl labels. 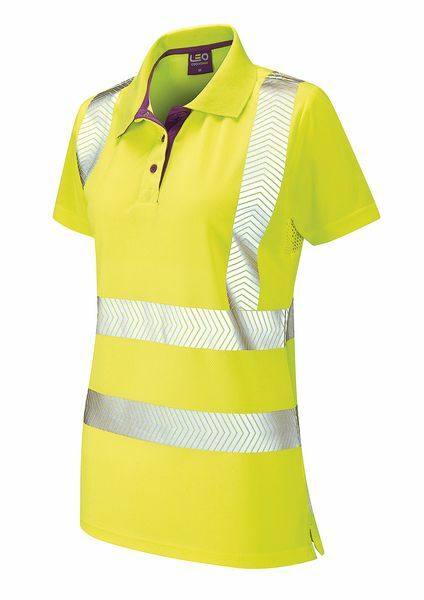 UK hazard signs - A2 caution battery charging self adhesive vinyl labels. UK hazard signs - A5 caution battery charging 1.2 mm rigid plastic signs with self adhesive backing. A2 420 x 598 mm Caution battery charging 1.2 mm rigid plastic signs. UK hazard signs - A2 caution battery charging 1.2 mm rigid plastic signs. UK hazard signs - A1 caution battery charging self adhesive vinyl labels. UK hazard signs - 300 x 250 mm caution battery charging 1.2 mm rigid plastic signs with self adhesive backing. 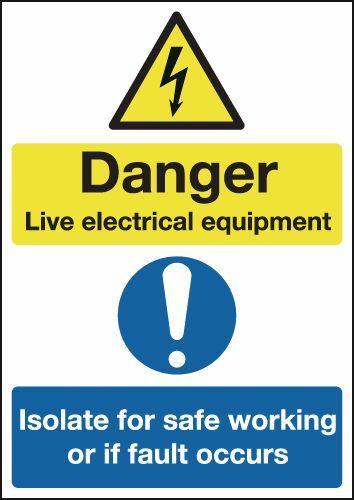 UK hazard signs - 400 x 600 mm battery charging area explosive 1.2 mm rigid plastic signs. UK hazard signs - 600 x 450 mm battery charging area explosive 1.2 mm rigid plastic signs. 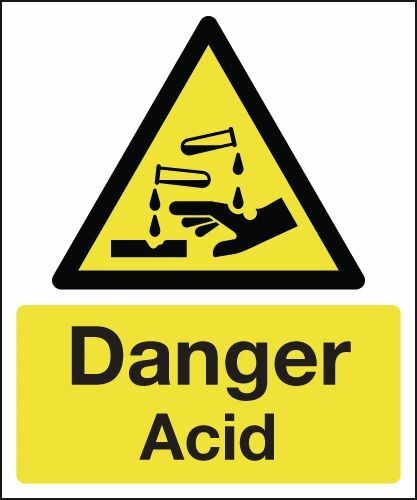 UK hazard signs - 400 x 300 mm caution battery acid 1.2 mm rigid plastic signs with self adhesive backing. UK hazard signs - A1 caution battery charging 1.2 mm rigid plastic signs. UK hazard signs - A3 caution battery charging 1.2 mm rigid plastic signs with self adhesive backing. A2 420 x 598 mm Caution battery charging 1.2 mm rigid plastic signs with s/a backing. UK hazard signs - A2 caution battery charging 1.2 mm rigid plastic signs with self adhesive backing. 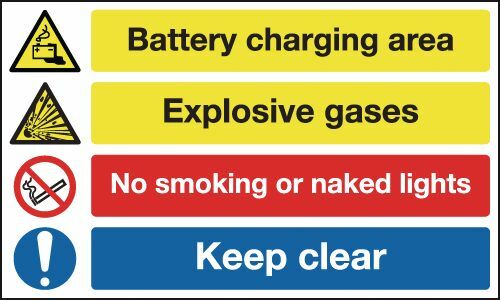 UK hazard signs - 400 x 600 mm battery charging area explosive 1.2 mm rigid plastic signs with self adhesive backing. 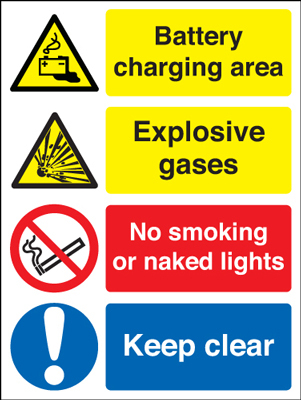 UK hazard signs - 450 x 600 mm battery charging area explosive 1.2 mm rigid plastic signs with self adhesive backing. UK hazard signs - A1 caution battery charging 1.2 mm rigid plastic signs with self adhesive backing. UK hazard signs - A4 caution battery charging 1.2 mm rigid plastic signs with self adhesive backing. UK hazard signs - 125 x 125 mm biohazard self adhesive vinyl labels. UK hazard signs - 125 x 125 mm biohazard 1.2 mm rigid plastic signs. UK hazard signs - 250 x 200 mm biohazard self adhesive vinyl labels. UK hazard signs - 250 x 200 mm biohazard 1.2 mm rigid plastic signs. 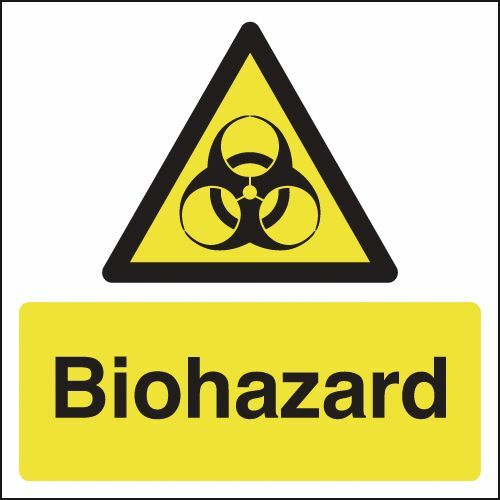 UK hazard signs - 125 x 125 mm biohazard 1.2 mm rigid plastic signs with self adhesive backing. UK hazard signs - 300 x 500 mm biohazard self adhesive vinyl labels. UK hazard signs - 300 x 500 mm biohazard 1.2 mm rigid plastic signs. UK hazard signs - 250 x 200 mm biohazard 1.2 mm rigid plastic signs with self adhesive backing. 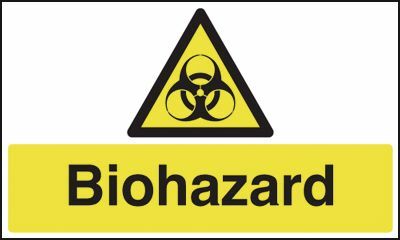 UK hazard signs - 300 x 500 mm biohazard 1.2 mm rigid plastic signs with self adhesive backing. 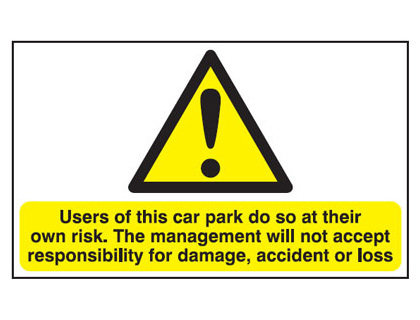 UK hazard signs - 250 x 350 mm users of this car park do so at self adhesive vinyl labels. UK hazard signs - 250 x 350 mm users of this car park do so at 1.2 mm rigid plastic signs. UK hazard signs - 300 x 500 mm users of this car park do so at 1.2 mm rigid plastic signs. UK hazard signs - 250 x 350 mm users of this car park do so at 1.2 mm rigid plastic signs with self adhesive backing. UK hazard signs - 300 x 500 mm users of this car park do so at 1.2 mm rigid plastic signs with self adhesive backing. UK hazard signs - A5 caution hot surface self adhesive vinyl labels. UK hazard signs - 100 x 250 mm caution hot self adhesive vinyl labels. UK hazard signs - 100 x 250 mm caution hot surface self adhesive vinyl labels. UK hazard signs - A5 caution hot surface 1.2 mm rigid plastic signs. UK hazard signs - 100 x 250 mm caution hot surface 1.2 mm rigid plastic signs. UK hazard signs - 100 x 250 mm caution hot 1.2 mm rigid plastic signs. UK hazard signs - A4 caution hot surface self adhesive vinyl labels. UK hazard signs - A3 caution hot surface self adhesive vinyl labels. UK hazard signs - A4 caution hot surface 1.2 mm rigid plastic signs. UK hazard signs - A3 caution hot surface 1.2 mm rigid plastic signs. UK hazard signs - A5 caution hot surface 1.2 mm rigid plastic signs with self adhesive backing. A2 420 x 598 mm Caution hot surface self adhesive vinyl labels. UK hazard signs - A2 caution hot surface self adhesive vinyl labels. A2 420 x 598 mm Caution hot surface 1.2 mm rigid plastic signs. UK hazard signs - A2 caution hot surface 1.2 mm rigid plastic signs. UK hazard signs - A1 caution hot surface self adhesive vinyl labels. UK hazard signs - A3 caution hot surface 1.2 mm rigid plastic signs with self adhesive backing. UK hazard signs - A1 caution hot surface 1.2 mm rigid plastic signs. A2 420 x 598 mm Caution hot surface 1.2 mm rigid plastic signs with s/a backing. UK hazard signs - A2 caution hot surface 1.2 mm rigid plastic signs with self adhesive backing. UK hazard signs - A1 caution hot surface 1.2 mm rigid plastic signs with self adhesive backing. UK hazard signs - A4 caution hot surface 1.2 mm rigid plastic signs with self adhesive backing. UK hazard signs - 100 x 200 mm caution pinch point self adhesive vinyl labels. UK hazard signs - A5 caution SYMBOLS self adhesive vinyl labels. 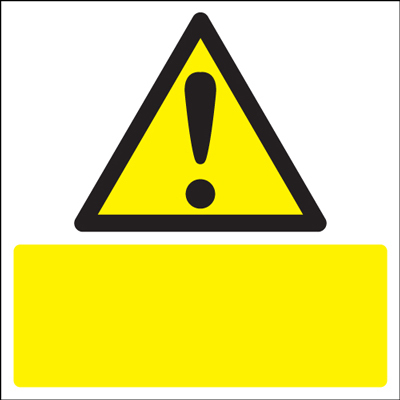 UK hazard signs - 125 x 125 mm caution SYMBOLS 1.2 mm rigid plastic signs. 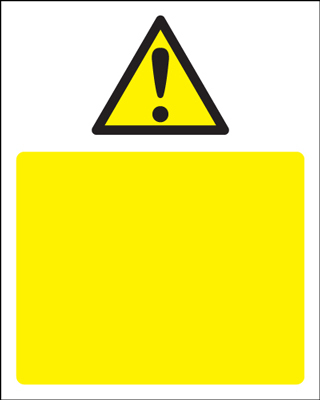 UK hazard signs - 125 x 125 mm caution SYMBOLS self adhesive vinyl labels. UK hazard signs - 100 x 250 mm caution self adhesive vinyl labels. UK hazard signs - 100 x 250 mm caution pinch point self adhesive vinyl labels. UK hazard signs - 100 x 200 mm caution pinch point 1.2 mm rigid plastic signs. UK hazard signs - 250 x 200 mm caution self adhesive vinyl labels. UK hazard signs - 250 x 200 mm caution SYMBOLS self adhesive vinyl labels. UK hazard signs - A5 caution self adhesive vinyl labels. UK hazard signs - A5 caution 1.2 mm rigid plastic signs. UK hazard signs - A5 caution SYMBOLS 1.2 mm rigid plastic signs. UK hazard signs - 100 x 250 mm caution 1.2 mm rigid plastic signs. UK hazard signs - 100 x 250 mm caution pinch point 1.2 mm rigid plastic signs. UK hazard signs - 300 x 250 mm caution self adhesive vinyl labels. UK hazard signs - 400 x 300 mm caution self adhesive vinyl labels. UK hazard signs - 250 x 200 mm caution 1.2 mm rigid plastic signs. UK hazard signs - 250 x 200 mm caution SYMBOLS 1.2 mm rigid plastic signs. UK hazard signs - A4 caution self adhesive vinyl labels. UK hazard signs - A4 caution SYMBOLS self adhesive vinyl labels. UK hazard signs - A4 caution pinch point self adhesive vinyl labels. UK hazard signs - A3 caution SYMBOLS self adhesive vinyl labels. UK hazard signs - A3 caution self adhesive vinyl labels. 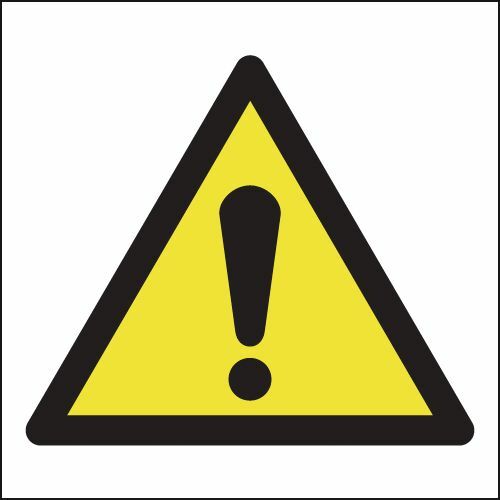 UK hazard signs - 125 x 125 mm caution SYMBOLS 1.2 mm rigid plastic signs with self adhesive backing. UK hazard signs - 300 x 250 mm caution 1.2 mm rigid plastic signs. UK hazard signs - 100 x 200 mm caution pinch point 1.2 mm rigid plastic signs with self adhesive backing. UK hazard signs - A4 caution pinch point 1.2 mm rigid plastic signs. UK hazard signs - A4 caution 1.2 mm rigid plastic signs. UK hazard signs - A4 caution SYMBOLS 1.2 mm rigid plastic signs. UK hazard signs - 400 x 300 mm caution 1.2 mm rigid plastic signs. UK hazard signs - A3 caution SYMBOLS 1.2 mm rigid plastic signs. UK hazard signs - A3 caution 1.2 mm rigid plastic signs. UK hazard signs - A5 caution 1.2 mm rigid plastic signs with self adhesive backing. 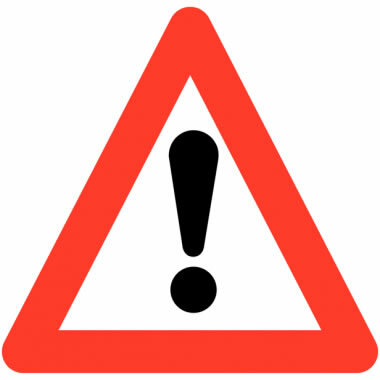 UK hazard signs - A5 caution SYMBOLS 1.2 mm rigid plastic signs with self adhesive backing. UK hazard signs - 250 x 200 mm caution SYMBOLS 1.2 mm rigid plastic signs with self adhesive backing. UK hazard signs - 250 x 200 mm caution 1.2 mm rigid plastic signs with self adhesive backing. A2 420 x 598 mm Caution SYMBOLS self adhesive vinyl labels. UK hazard signs - A2 caution SYMBOLS self adhesive vinyl labels. A2 420 x 598 mm Caution self adhesive vinyl labels. UK hazard signs - A2 caution self adhesive vinyl labels. A2 420 x 598 mm Caution 1.2 mm rigid plastic signs. UK hazard signs - A2 caution 1.2 mm rigid plastic signs. 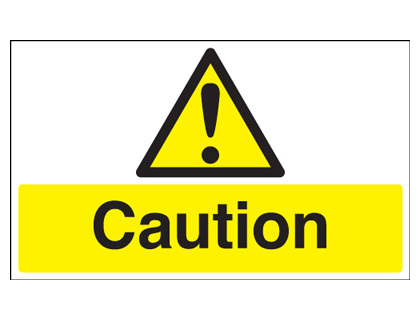 A2 420 x 598 mm Caution SYMBOLS 1.2 mm rigid plastic signs. UK hazard signs - A2 caution SYMBOLS 1.2 mm rigid plastic signs. UK hazard signs - 300 x 250 mm caution 1.2 mm rigid plastic signs with self adhesive backing. UK hazard signs - A1 caution SYMBOLS self adhesive vinyl labels. UK hazard signs - 400 x 300 mm caution 1.2 mm rigid plastic signs with self adhesive backing. UK hazard signs - A1 caution self adhesive vinyl labels. UK hazard signs - A1 caution SYMBOLS 1.2 mm rigid plastic signs. UK hazard signs - A1 caution 1.2 mm rigid plastic signs. UK hazard signs - A3 caution SYMBOLS 1.2 mm rigid plastic signs with self adhesive backing. UK hazard signs - A3 caution 1.2 mm rigid plastic signs with self adhesive backing. A2 420 x 598 mm Caution SYMBOLS 1.2 mm rigid plastic signs with s/a backing. UK hazard signs - A2 caution SYMBOLS 1.2 mm rigid plastic signs with self adhesive backing. A2 420 x 598 mm Caution 1.2 mm rigid plastic signs with s/a backing. UK hazard signs - A2 caution 1.2 mm rigid plastic signs with self adhesive backing. UK hazard signs - A1 caution SYMBOLS 1.2 mm rigid plastic signs with self adhesive backing. UK hazard signs - A1 caution 1.2 mm rigid plastic signs with self adhesive backing. UK hazard signs - A4 caution 1.2 mm rigid plastic signs with self adhesive backing. UK hazard signs - A4 caution SYMBOLS 1.2 mm rigid plastic signs with self adhesive backing. UK hazard signs - A4 caution pinch point 1.2 mm rigid plastic signs with self adhesive backing. UK hazard signs - 50 x 100 mm cctv in operation self adhesive vinyl labels. 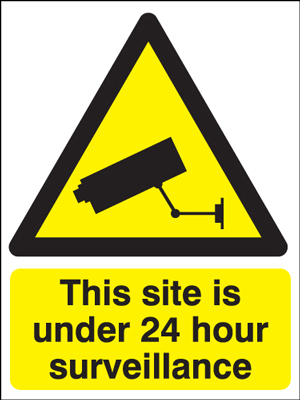 UK hazard signs - 50 x 100 mm cctv in operation 1.2 mm rigid plastic signs. UK hazard signs - A5 cctv in operation self adhesive vinyl labels. UK hazard signs - A5 these premises are under cctv self adhesive vinyl labels. UK hazard signs - A5 these premises are under cctv 1.2 mm rigid plastic signs. UK hazard signs - A5 cctv in operation 1.2 mm rigid plastic signs. UK hazard signs - 400 x 300 mm cctv in operation self adhesive vinyl labels. UK hazard signs - A4 cctv in operation self adhesive vinyl labels. UK hazard signs - A4 these premises are under cctv self adhesive vinyl labels. UK hazard signs - 50 x 100 mm cctv in operation 1.2 mm rigid plastic signs with self adhesive backing. UK hazard signs - A3 cctv in operation self adhesive vinyl labels. UK hazard signs - A3 these premises are under cctv self adhesive vinyl labels. UK hazard signs - 300 x 500 mm cctv in operation self adhesive vinyl labels. 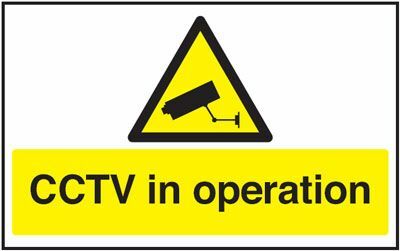 UK hazard signs - A4 cctv in operation 1.2 mm rigid plastic signs. UK hazard signs - A4 these premises are under cctv 1.2 mm rigid plastic signs. UK hazard signs - 300 x 500 mm cctv in operation 1.2 mm rigid plastic signs. UK hazard signs - 600 x 450 mm cctv in operation self adhesive vinyl labels. UK hazard signs - A3 cctv in operation 1.2 mm rigid plastic signs. UK hazard signs - 450 x 600 mm cctv in operation self adhesive vinyl labels. UK hazard signs - A3 these premises are under cctv 1.2 mm rigid plastic signs. UK hazard signs - 400 x 300 mm cctv in operation 1.2 mm rigid plastic signs. UK hazard signs - A5 cctv in operation 1.2 mm rigid plastic signs with self adhesive backing. UK hazard signs - A5 these premises are under cctv 1.2 mm rigid plastic signs with self adhesive backing. A2 420 x 598 mm these premises are under cctv self adhesive vinyl labels. UK hazard signs - A2 these premises are under cctv self adhesive vinyl labels. A2 420 x 598 mm cctv in operation self adhesive vinyl labels. UK hazard signs - A2 cctv in operation self adhesive vinyl labels. A2 420 x 598 mm cctv in operation 1.2 mm rigid plastic signs. 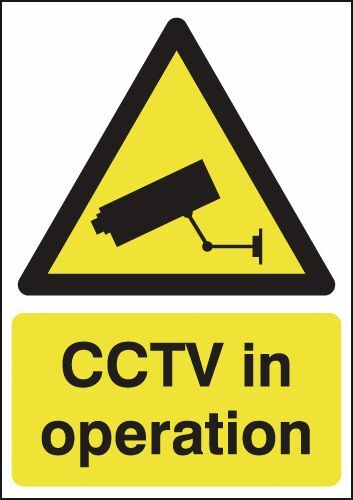 UK hazard signs - A2 cctv in operation 1.2 mm rigid plastic signs. A2 420 x 598 mm these premises are under cctv 1.2 mm rigid plastic signs. UK hazard signs - A2 these premises are under cctv 1.2 mm rigid plastic signs. UK hazard signs - 600 x 450 mm cctv in operation 1.2 mm rigid plastic signs. UK hazard signs - 450 x 600 mm cctv in operation 1.2 mm rigid plastic signs. UK hazard signs - A1 cctv in operation self adhesive vinyl labels. UK hazard signs - A1 these premises are under cctv self adhesive vinyl labels. UK hazard signs - 400 x 300 mm cctv in operation 1.2 mm rigid plastic signs with self adhesive backing. UK hazard signs - A1 cctv in operation 1.2 mm rigid plastic signs. 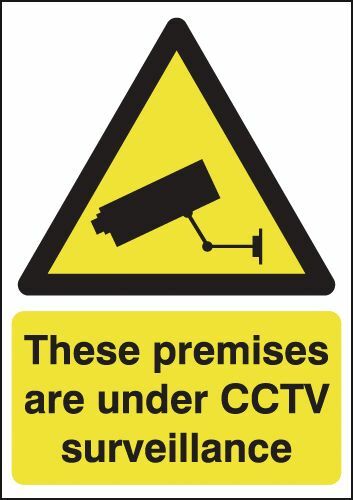 UK hazard signs - A1 these premises are under cctv 1.2 mm rigid plastic signs. UK hazard signs - 300 x 500 mm cctv in operation 1.2 mm rigid plastic signs with self adhesive backing. UK hazard signs - A3 cctv in operation 1.2 mm rigid plastic signs with self adhesive backing. UK hazard signs - A3 these premises are under cctv 1.2 mm rigid plastic signs with self adhesive backing. A2 420 x 598 mm cctv in operation 1.2 mm rigid plastic signs with s/a backing. UK hazard signs - A2 cctv in operation 1.2 mm rigid plastic signs with self adhesive backing. UK hazard signs - 450 x 600 mm cctv in operation 1.2 mm rigid plastic signs with self adhesive backing. UK hazard signs - 600 x 450 mm cctv in operation 1.2 mm rigid plastic signs with self adhesive backing. A2 420 x 598 mm these premises are under cctv 1.2 mm rigid plastic signs with s/a backing. UK hazard signs - A2 these premises are under cctv 1.2 mm rigid plastic signs with self adhesive backing. UK hazard signs - A1 these premises are under cctv 1.2 mm rigid plastic signs with self adhesive backing. UK hazard signs - A1 cctv in operation 1.2 mm rigid plastic signs with self adhesive backing. UK hazard signs - A4 cctv in operation 1.2 mm rigid plastic signs with self adhesive backing. UK hazard signs - A4 these premises are under cctv 1.2 mm rigid plastic signs with self adhesive backing. UK hazard signs - 125 x 125 mm caution chemical store self adhesive vinyl labels. UK hazard signs - 150 x 125 mm caution ammonia self adhesive vinyl labels. UK hazard signs - 150 x 125 mm harmful chemicals self adhesive vinyl labels. 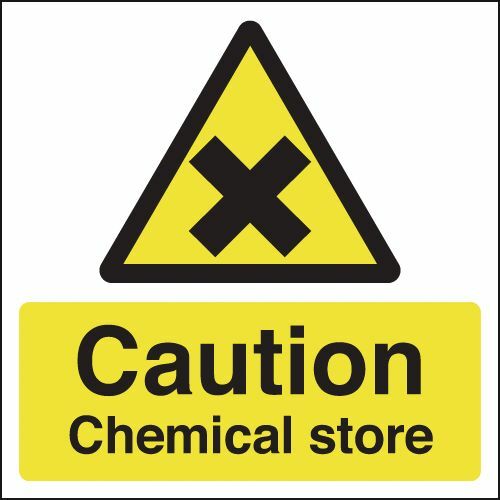 UK hazard signs - 125 x 125 mm caution chemical store 1.2 mm rigid plastic signs. UK hazard signs - 150 x 125 mm caution ammonia 1.2 mm rigid plastic signs. UK hazard signs - 150 x 125 mm harmful chemicals 1.2 mm rigid plastic signs. UK hazard signs - 250 x 200 mm caution chemical store self adhesive vinyl labels. UK hazard signs - A5 caution ammonia self adhesive vinyl labels. 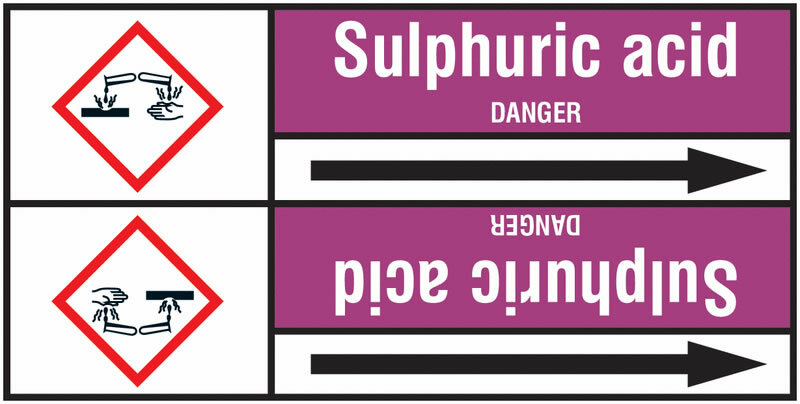 UK hazard signs - A5 harmful chemicals self adhesive vinyl labels. UK hazard signs - 300 x 250 mm harmful chemicals self adhesive vinyl labels. UK hazard signs - A5 harmful chemicals 1.2 mm rigid plastic signs. UK hazard signs - A5 caution ammonia 1.2 mm rigid plastic signs. UK hazard signs - 350 x 250 mm caution chemical store self adhesive vinyl labels. UK hazard signs - 250 x 200 mm caution chemical store 1.2 mm rigid plastic signs. UK hazard signs - A4 caution ammonia self adhesive vinyl labels. 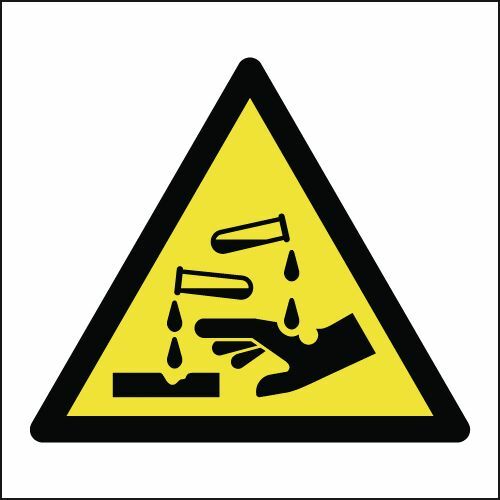 UK hazard signs - 125 x 125 mm caution chemical store 1.2 mm rigid plastic signs with self adhesive backing. UK hazard signs - A3 caution ammonia self adhesive vinyl labels. 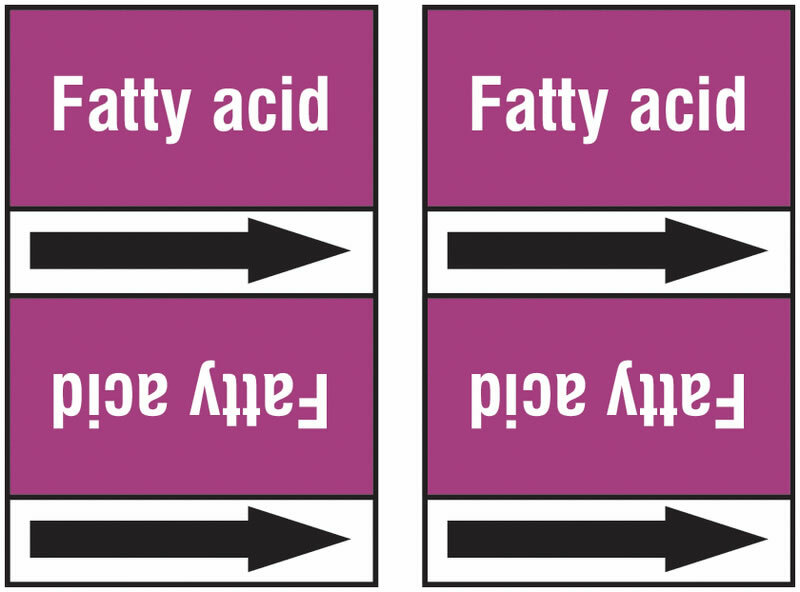 UK hazard signs - A3 harmful chemicals self adhesive vinyl labels. UK hazard signs - A4 harmful chemicals self adhesive vinyl labels. 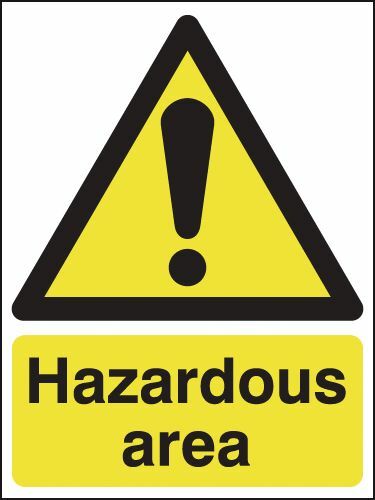 UK hazard signs - 150 x 125 mm harmful chemicals 1.2 mm rigid plastic signs with self adhesive backing. UK hazard signs - 150 x 125 mm caution ammonia 1.2 mm rigid plastic signs with self adhesive backing. UK hazard signs - 300 x 250 mm harmful chemicals 1.2 mm rigid plastic signs. UK hazard signs - 350 x 250 mm caution chemical store 1.2 mm rigid plastic signs. UK hazard signs - A4 caution ammonia 1.2 mm rigid plastic signs. UK hazard signs - A4 harmful chemicals 1.2 mm rigid plastic signs. UK hazard signs - A3 harmful chemicals 1.2 mm rigid plastic signs. UK hazard signs - A3 caution ammonia 1.2 mm rigid plastic signs. UK hazard signs - A5 caution ammonia 1.2 mm rigid plastic signs with self adhesive backing. 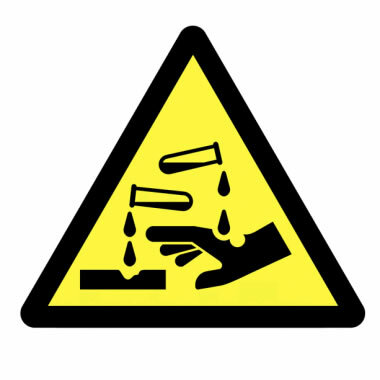 UK hazard signs - 250 x 200 mm caution chemical store 1.2 mm rigid plastic signs with self adhesive backing. A2 420 x 598 mm Caution ammonia self adhesive vinyl labels. UK hazard signs - A2 caution ammonia self adhesive vinyl labels. A2 420 x 598 mm harmful chemicals self adhesive vinyl labels. UK hazard signs - A2 harmful chemicals self adhesive vinyl labels. UK hazard signs - A5 harmful chemicals 1.2 mm rigid plastic signs with self adhesive backing. A2 420 x 598 mm harmful chemicals 1.2 mm rigid plastic signs. UK hazard signs - A2 harmful chemicals 1.2 mm rigid plastic signs. A2 420 x 598 mm Caution ammonia 1.2 mm rigid plastic signs. UK hazard signs - A2 caution ammonia 1.2 mm rigid plastic signs. 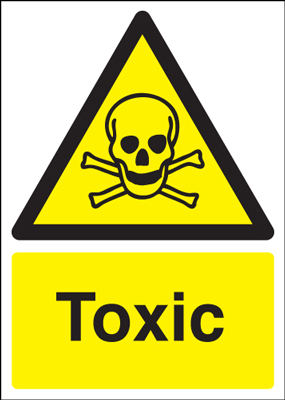 UK hazard signs - 300 x 250 mm harmful chemicals 1.2 mm rigid plastic signs with self adhesive backing. 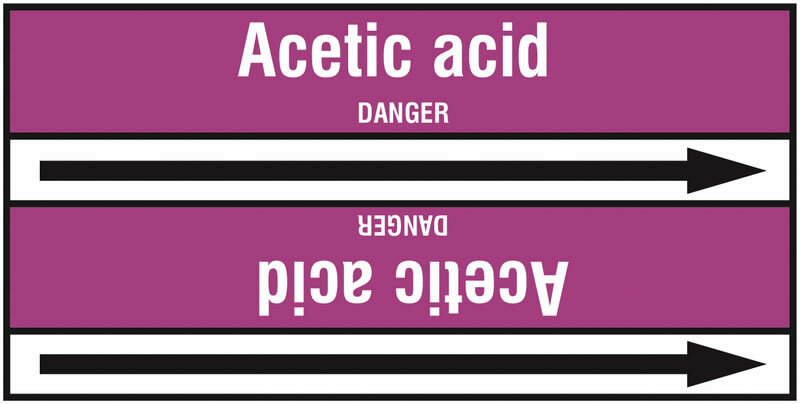 UK hazard signs - A1 harmful chemicals self adhesive vinyl labels. UK hazard signs - A1 caution ammonia self adhesive vinyl labels. UK hazard signs - 350 x 250 mm caution chemical store 1.2 mm rigid plastic signs with self adhesive backing. UK hazard signs - A1 caution ammonia 1.2 mm rigid plastic signs. UK hazard signs - A1 harmful chemicals 1.2 mm rigid plastic signs. UK hazard signs - A3 harmful chemicals 1.2 mm rigid plastic signs with self adhesive backing. UK hazard signs - A3 caution ammonia 1.2 mm rigid plastic signs with self adhesive backing. A2 420 x 598 mm Caution ammonia 1.2 mm rigid plastic signs with s/a backing. UK hazard signs - A2 caution ammonia 1.2 mm rigid plastic signs with self adhesive backing. 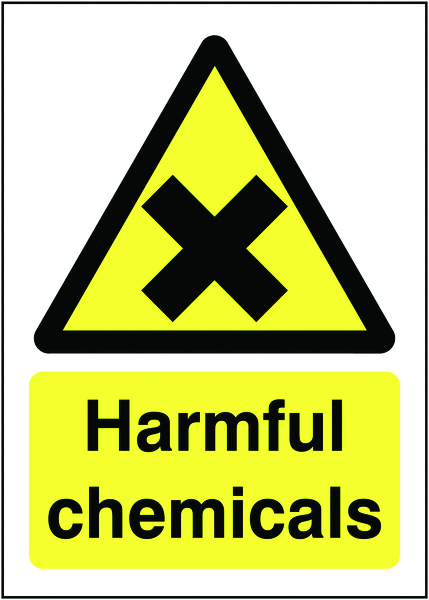 A2 420 x 598 mm harmful chemicals 1.2 mm rigid plastic signs with s/a backing. UK hazard signs - A2 harmful chemicals 1.2 mm rigid plastic signs with self adhesive backing. 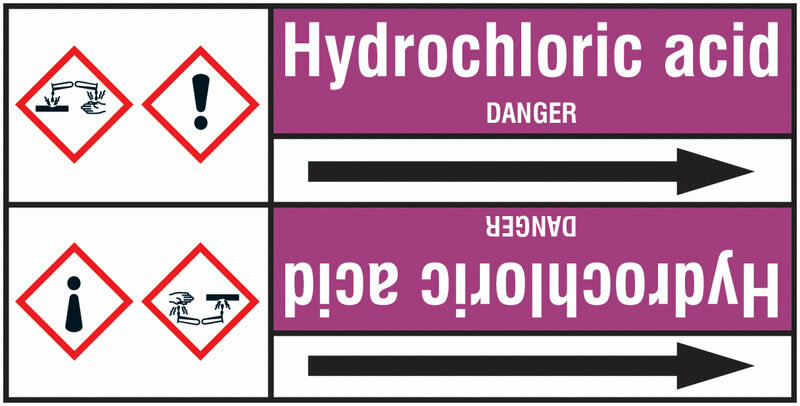 UK hazard signs - A1 harmful chemicals 1.2 mm rigid plastic signs with self adhesive backing. UK hazard signs - A1 caution ammonia 1.2 mm rigid plastic signs with self adhesive backing. UK hazard signs - A4 caution ammonia 1.2 mm rigid plastic signs with self adhesive backing. 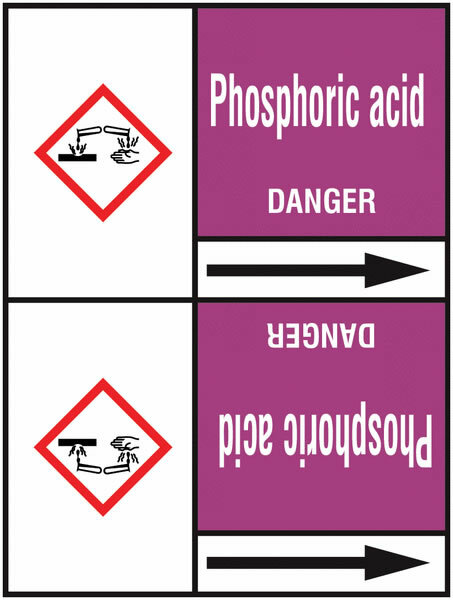 UK hazard signs - A4 harmful chemicals 1.2 mm rigid plastic signs with self adhesive backing. UK hazard signs - 150 x 200 mm anti-climb product in use self adhesive vinyl labels. UK hazard signs - 150 x 200 mm anti-climb product in use 1.2 mm rigid plastic signs. UK hazard signs - A4 anti-climb product in use self adhesive vinyl labels. UK hazard signs - 400 x 300 mm anti-climb product in use self adhesive vinyl labels. 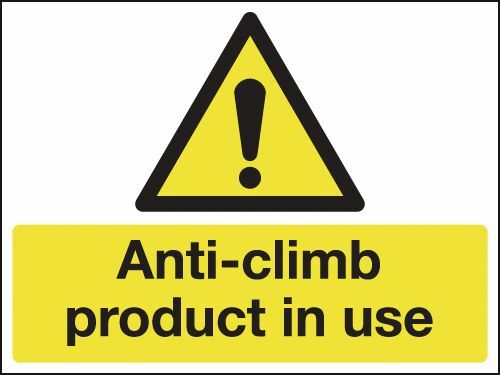 UK hazard signs - A4 anti-climb product in use 1.2 mm rigid plastic signs. UK hazard signs - 400 x 300 mm anti-climb product in use 1.2 mm rigid plastic signs. UK hazard signs - 150 x 200 mm anti-climb product in use 1.2 mm rigid plastic signs with self adhesive backing. A2 420 x 598 mm anti climb product in use self adhesive vinyl labels. UK hazard signs - A2 anti-climb product in use self adhesive vinyl labels. A2 420 x 598 mm anti climb product in use 1.2 mm rigid plastic signs. 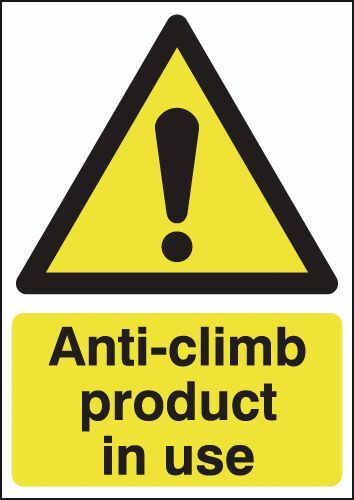 UK hazard signs - A2 anti-climb product in use 1.2 mm rigid plastic signs. UK hazard signs - 400 x 300 mm anti-climb product in use 1.2 mm rigid plastic signs with self adhesive backing. A2 420 x 598 mm anti climb product in use 1.2 mm rigid plastic signs with s/a backing. UK hazard signs - A2 anti-climb product in use 1.2 mm rigid plastic signs with self adhesive backing. UK hazard signs - A4 anti-climb product in use 1.2 mm rigid plastic signs with self adhesive backing. UK hazard signs - 400 x 300 mm this site is under 24 hour self adhesive vinyl labels. UK hazard signs - 400 x 300 mm this site is under 24 hour 1.2 mm rigid plastic signs. 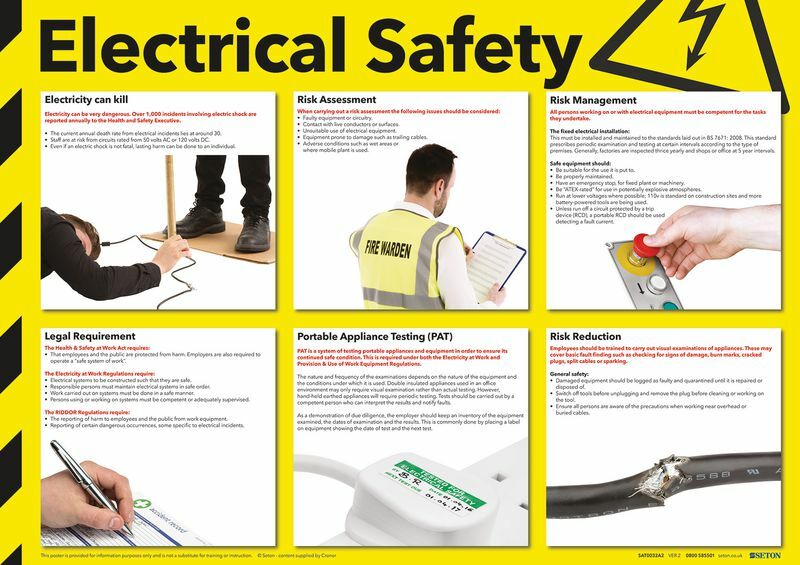 UK hazard signs - 800 x 600 mm this site is under 24 hour self adhesive vinyl labels. UK hazard signs - 400 x 300 mm this site is under 24 hour 1.2 mm rigid plastic signs with self adhesive backing. UK hazard signs - 800 x 600 mm this site is under 24 hour 1.2 mm rigid plastic signs. UK hazard signs - 800 x 600 mm this site is under 24 hour 1.2 mm rigid plastic signs with self adhesive backing. 150 x 125 mm corrosive self adhesive vinyl labels. 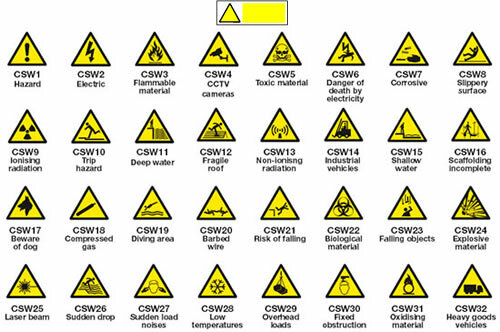 UK hazard signs - 125 x 125 mm corrosive symbol self adhesive vinyl labels. UK hazard signs - 150 x 150 mm corrosive symbol self adhesive vinyl labels. 150 x 125 mm corrosive 1.2 mm rigid plastic signs. 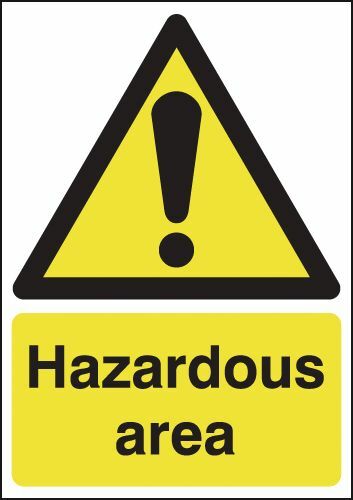 UK hazard signs - 150 x 150 mm corrosive symbol 1.2 mm rigid plastic signs. UK hazard signs - 200 x 200 mm corrosive symbol self adhesive vinyl labels. 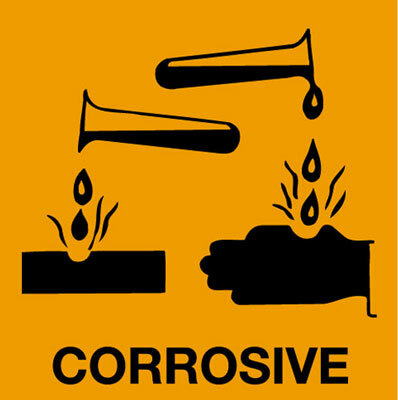 UK hazard signs - 125 x 125 mm corrosive symbol 1.2 mm rigid plastic signs. 350 x 250 mm corrosive self adhesive vinyl labels. UK hazard signs - 200 x 200 mm corrosive symbol 1.2 mm rigid plastic signs. 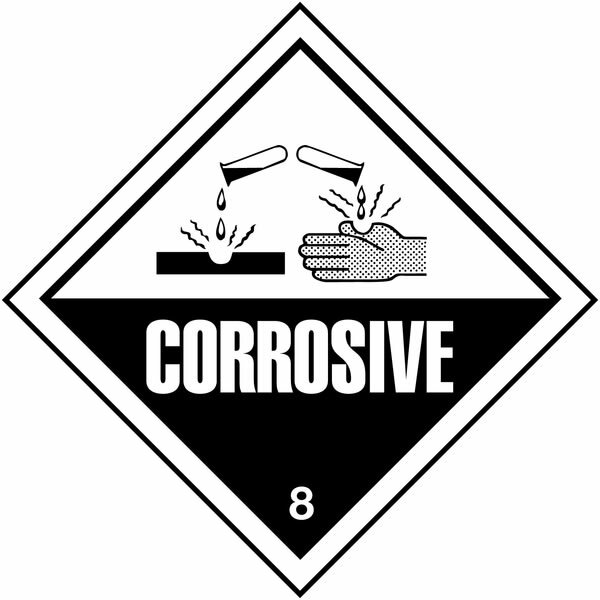 UK hazard signs - 125 x 125 mm corrosive symbol 1.2 mm rigid plastic signs with self adhesive backing. 150 x 150 mm corrosive symbol 1.2 mm rigid plastic signs with s/a backing. 150 x 150 mm corrosive symbol 1.2 mm rigid plastic signs with self adhesive backing. 350 x 250 mm corrosive 1.2 mm rigid plastic signs. UK hazard signs - 200 x 200 mm corrosive symbol 1.2 mm rigid plastic signs with self adhesive backing. 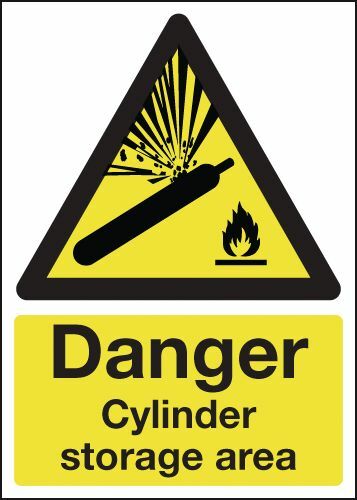 UK hazard signs - 175 x 125 mm caution cylinder storage area self adhesive vinyl labels. UK hazard signs - 175 x 125 mm caution cylinder storage area 1.2 mm rigid plastic signs. 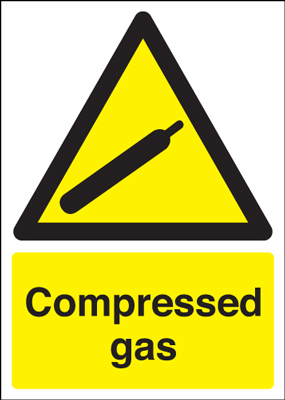 UK hazard signs - 350 x 250 mm caution cylinder storage area self adhesive vinyl labels. UK hazard signs - 175 x 125 mm caution cylinder storage area 1.2 mm rigid plastic signs with self adhesive backing. UK hazard signs - 350 x 250 mm caution cylinder storage area 1.2 mm rigid plastic signs. UK hazard signs - 350 x 250 mm caution cylinder storage area 1.2 mm rigid plastic signs with self adhesive backing. 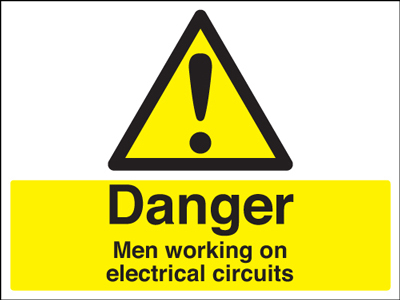 450 x 600 mm danger men working on electrical self adhesive vinyl labels. 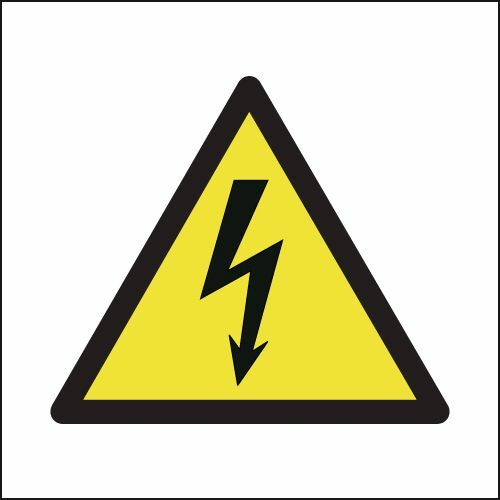 UK hazard signs - 125 x 125 mm electricity symbol self adhesive vinyl labels. 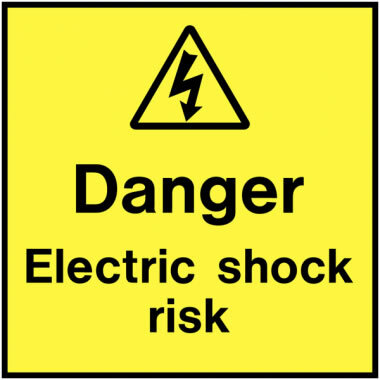 UK hazard signs - 125 x 125 mm electricity symbol 1.2 mm rigid plastic signs. 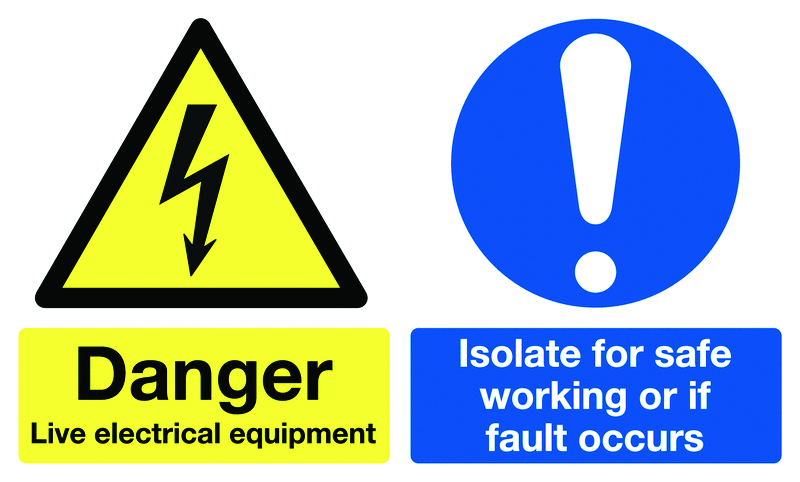 UK hazard signs - 175 x 125 mm electrical isolator self adhesive vinyl labels. UK hazard signs - 100 x 250 mm main switch self adhesive vinyl labels. 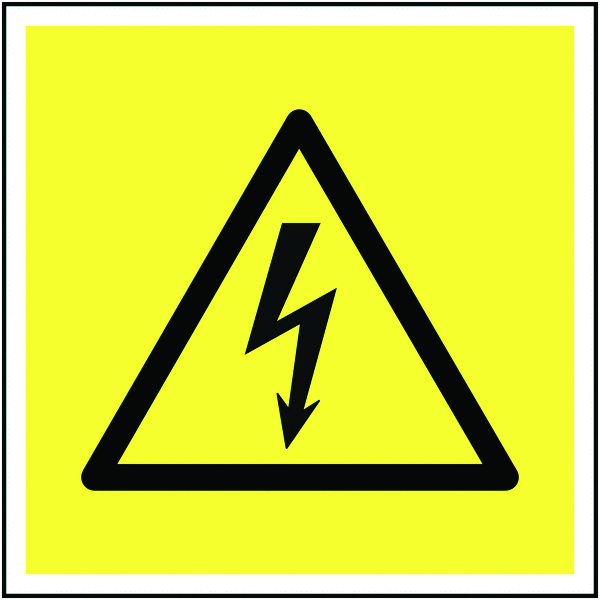 UK hazard signs - 200 x 200 mm electricity symbol self adhesive vinyl labels. 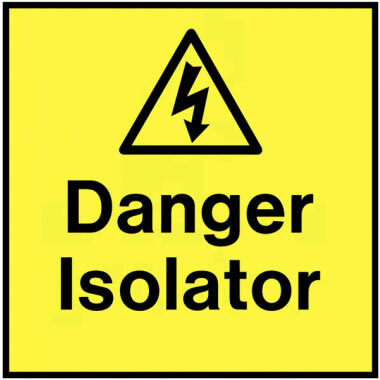 UK hazard signs - 175 x 125 mm electrical isolator 1.2 mm rigid plastic signs. 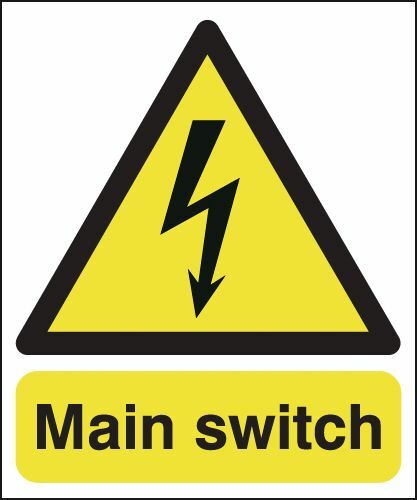 UK hazard signs - 100 x 250 mm main switch 1.2 mm rigid plastic signs. UK hazard signs - 200 x 200 mm electricity symbol 1.2 mm rigid plastic signs. UK hazard signs - 300 x 250 mm main switch self adhesive vinyl labels. 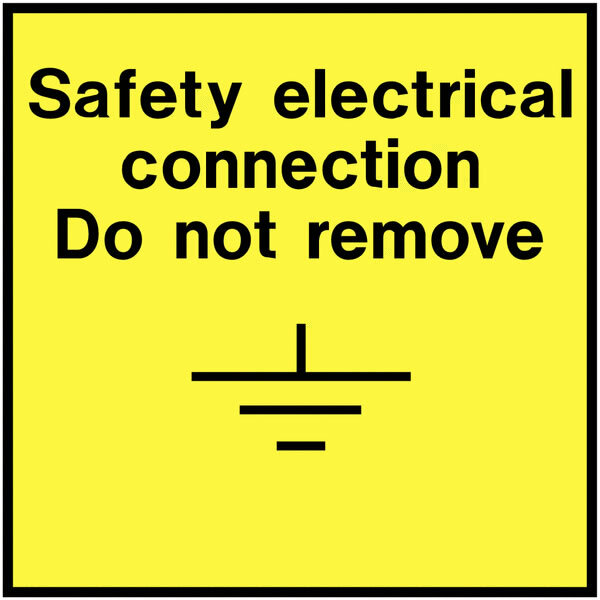 UK hazard signs - 125 x 125 mm electricity symbol 1.2 mm rigid plastic signs with self adhesive backing. 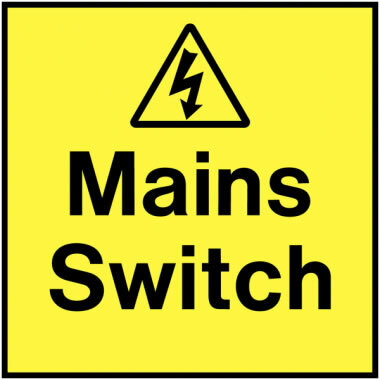 UK hazard signs - 300 x 250 mm main switch 1.2 mm rigid plastic signs. UK hazard signs - 100 x 250 mm main switch 1.2 mm rigid plastic signs with self adhesive backing. 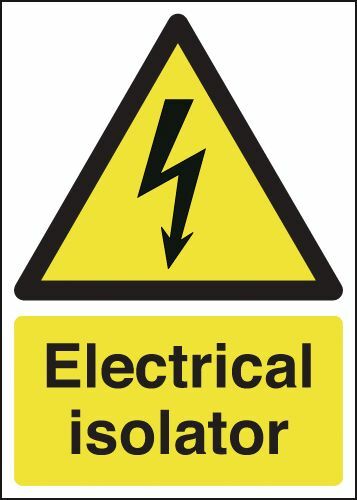 UK hazard signs - 175 x 125 mm electrical isolator 1.2 mm rigid plastic signs with self adhesive backing. 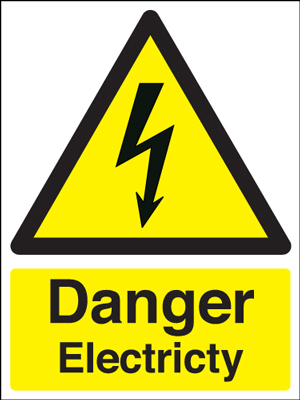 UK hazard signs - 200 x 200 mm electricity symbol 1.2 mm rigid plastic signs with self adhesive backing. UK hazard signs - 300 x 250 mm main switch 1.2 mm rigid plastic signs with self adhesive backing. 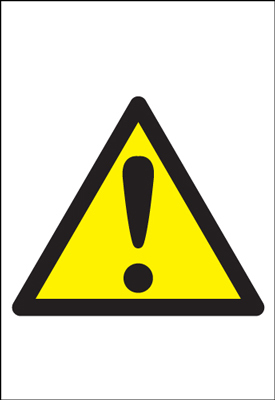 UK hazard signs - 150 x 125 mm caution risk of explosion self adhesive vinyl labels. UK hazard signs - A5 caution risk of explosion self adhesive vinyl labels. UK hazard signs - 150 x 125 mm caution risk of explosion 1.2 mm rigid plastic signs. UK hazard signs - A5 caution risk of explosion 1.2 mm rigid plastic signs. UK hazard signs - 300 x 250 mm caution risk of explosion self adhesive vinyl labels. UK hazard signs - 300 x 300 mm explosive hazard SYMBOLS self adhesive vinyl labels. UK hazard signs - 350 x 250 mm caution risk of explosion self adhesive vinyl labels. UK hazard signs - A3 caution risk of explosion self adhesive vinyl labels. UK hazard signs - A4 caution risk of explosion self adhesive vinyl labels. 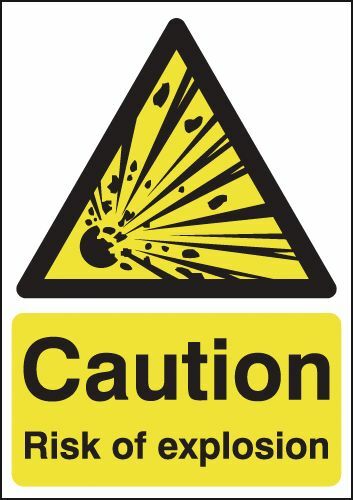 UK hazard signs - 150 x 125 mm caution risk of explosion 1.2 mm rigid plastic signs with self adhesive backing. UK hazard signs - 300 x 250 mm caution risk of explosion 1.2 mm rigid plastic signs. UK hazard signs - 300 x 500 mm caution risk of explosion self adhesive vinyl labels. UK hazard signs - 300 x 300 mm explosive hazard SYMBOLS 1.2 mm rigid plastic signs. UK hazard signs - 350 x 250 mm caution risk of explosion 1.2 mm rigid plastic signs. UK hazard signs - A4 caution risk of explosion 1.2 mm rigid plastic signs. UK hazard signs - 300 x 500 mm caution risk of explosion 1.2 mm rigid plastic signs. UK hazard signs - A3 caution risk of explosion 1.2 mm rigid plastic signs. UK hazard signs - 450 x 600 mm caution risk of explosion self adhesive vinyl labels. UK hazard signs - A5 caution risk of explosion 1.2 mm rigid plastic signs with self adhesive backing. A2 420 x 598 mm Caution risk of explosion self adhesive vinyl labels. UK hazard signs - A2 caution risk of explosion self adhesive vinyl labels. 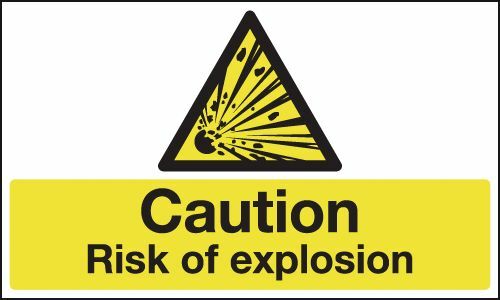 A2 420 x 598 mm Caution risk of explosion 1.2 mm rigid plastic signs. 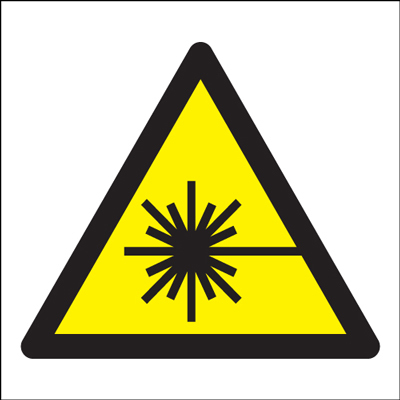 UK hazard signs - A2 caution risk of explosion 1.2 mm rigid plastic signs. UK hazard signs - 300 x 250 mm caution risk of explosion 1.2 mm rigid plastic signs with self adhesive backing. UK hazard signs - 450 x 600 mm caution risk of explosion 1.2 mm rigid plastic signs. UK hazard signs - A1 caution risk of explosion self adhesive vinyl labels. 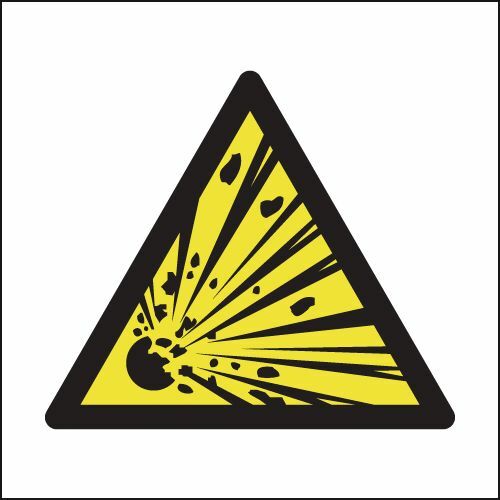 UK hazard signs - 300 x 300 mm explosive hazard SYMBOLS 1.2 mm rigid plastic signs with self adhesive backing. UK hazard signs - 300 x 500 mm caution risk of explosion 1.2 mm rigid plastic signs with self adhesive backing. UK hazard signs - A1 caution risk of explosion 1.2 mm rigid plastic signs. UK hazard signs - A3 caution risk of explosion 1.2 mm rigid plastic signs with self adhesive backing. A2 420 x 598 mm Caution risk of explosion 1.2 mm rigid plastic signs with s/a backing. UK hazard signs - A2 caution risk of explosion 1.2 mm rigid plastic signs with self adhesive backing. UK hazard signs - A1 caution risk of explosion 1.2 mm rigid plastic signs with self adhesive backing. UK hazard signs - A4 caution risk of explosion 1.2 mm rigid plastic signs with self adhesive backing. UK hazard signs - 100 x 200 mm this building is alarmed self adhesive vinyl labels. UK hazard signs - 100 x 200 mm this building is alarmed 1.2 mm rigid plastic signs. UK hazard signs - 100 x 200 mm this building is alarmed 1.2 mm rigid plastic signs with self adhesive backing. UK hazard signs - 450 x 600 mm this building is alarmed self adhesive vinyl labels. UK hazard signs - 450 x 600 mm this building is alarmed 1.2 mm rigid plastic signs. 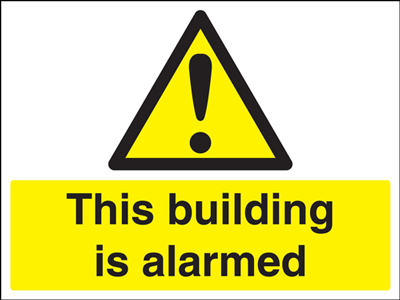 UK hazard signs - 450 x 600 mm this building is alarmed 1.2 mm rigid plastic signs with self adhesive backing. UK hazard signs - 150 x 150 mm flammable self adhesive vinyl labels. 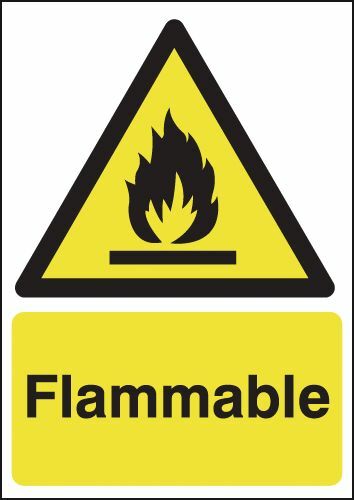 UK hazard signs - 150 x 150 mm flammable SYMBOLS self adhesive vinyl labels. 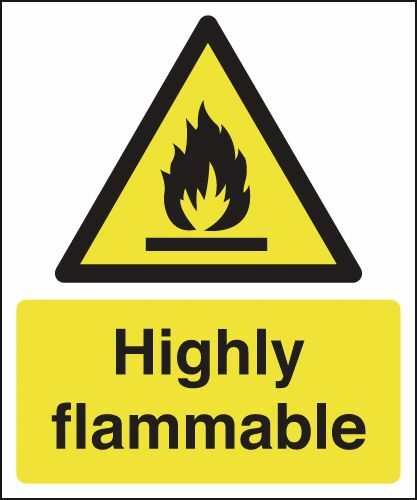 UK hazard signs - 150 x 125 mm highly flammable self adhesive vinyl labels. UK hazard signs - 150 x 125 mm highly flammable 1.2 mm rigid plastic signs. UK hazard signs - 150 x 150 mm flammable 1.2 mm rigid plastic signs. 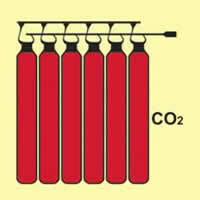 A5 flammable as a 1.2mm PVC sign - photoluminescent sign - self adhesive label. UK hazard signs - 400 x 300 mm flammable self adhesive vinyl labels. UK hazard signs - A4 flammable self adhesive vinyl labels. UK hazard signs - A3 flammable self adhesive vinyl labels. 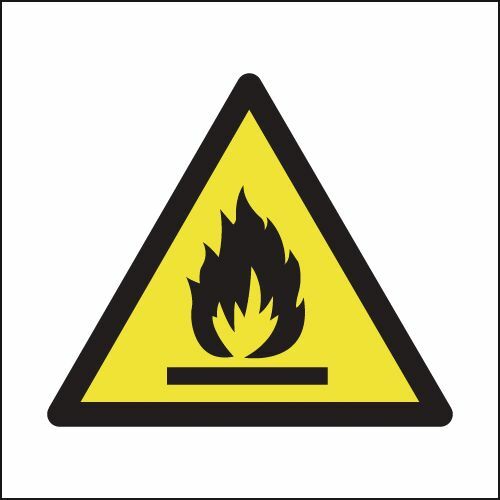 UK hazard signs - 300 x 300 mm flammable SYMBOLS self adhesive vinyl labels. 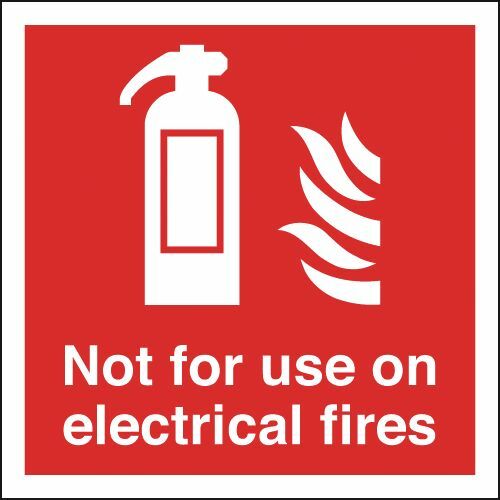 UK hazard signs - 150 x 125 mm highly flammable 1.2 mm rigid plastic signs with self adhesive backing. UK hazard signs - 150 x 150 mm flammable 1.2 mm rigid plastic signs with self adhesive backing. 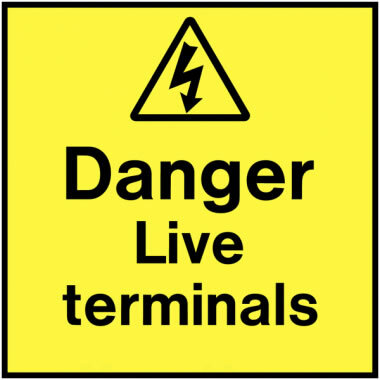 150 x 150 mm flammable SYMBOLS as a 1.2mm PVC sign - photoluminescent sign - self adhesive label. UK hazard signs - A4 flammable 1.2 mm rigid plastic signs. UK hazard signs - 400 x 300 mm flammable 1.2 mm rigid plastic signs. UK hazard signs - 300 x 300 mm flammable SYMBOLS 1.2 mm rigid plastic signs. UK hazard signs - A3 flammable 1.2 mm rigid plastic signs. UK hazard signs - A5 flammable 1.2 mm rigid plastic signs with self adhesive backing. A2 420 x 598 mm flammable self adhesive vinyl labels. UK hazard signs - A2 flammable self adhesive vinyl labels. UK hazard signs - A1 flammable self adhesive vinyl labels. A2 420 x 598 mm flammable 1.2 mm rigid plastic signs. UK hazard signs - A2 flammable 1.2 mm rigid plastic signs. UK hazard signs - 400 x 300 mm flammable 1.2 mm rigid plastic signs with self adhesive backing. 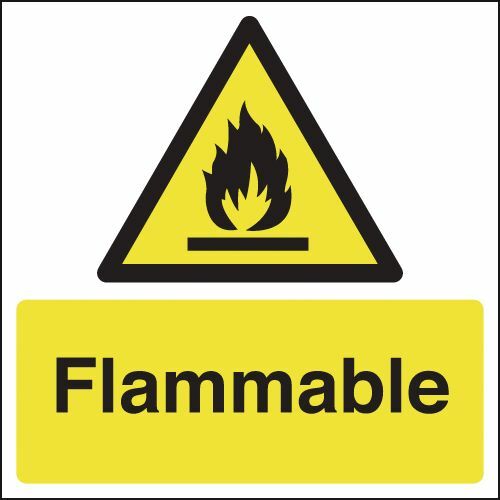 UK hazard signs - 300 x 300 mm flammable SYMBOLS 1.2 mm rigid plastic signs with self adhesive backing. UK hazard signs - A1 flammable 1.2 mm rigid plastic signs. A2 420 x 598 mm flammable 1.2 mm rigid plastic signs with s/a backing. UK hazard signs - A2 flammable 1.2 mm rigid plastic signs with self adhesive backing. UK hazard signs - A3 flammable 1.2 mm rigid plastic signs with self adhesive backing. UK hazard signs - A1 flammable 1.2 mm rigid plastic signs with self adhesive backing. UK hazard signs - A4 flammable 1.2 mm rigid plastic signs with self adhesive backing. 50 x 50 general hazard symbol (no text) self adhesive label. 150 x 150 mm general hazard symbol (no text) self adhesive vinyl labels. 150 x 150 mm general hazard symbol (no text) 1.2 mm rigid plastic signs. 300 x 300 mm general hazard symbol (no text) self adhesive vinyl labels. 450 x 450 mm general hazard symbol (no text) self adhesive vinyl labels. 300 x 300 mm general hazard symbol (no text) 1.2 mm rigid plastic signs. 450 x 450 mm general hazard symbol (no text) 1.2 mm rigid plastic signs. UK hazard signs - A5 hazardous area self adhesive vinyl labels. UK hazard signs - 250 x 200 mm hazardous area self adhesive vinyl labels. UK hazard signs - A5 hazardous area 1.2 mm rigid plastic signs. UK hazard signs - 300 x 250 mm hazardous area self adhesive vinyl labels. UK hazard signs - 400 x 300 mm hazardous area self adhesive vinyl labels. UK hazard signs - 250 x 200 mm hazardous area 1.2 mm rigid plastic signs. UK hazard signs - A4 hazardous area self adhesive vinyl labels. UK hazard signs - A3 hazardous area self adhesive vinyl labels. UK hazard signs - 300 x 250 mm hazardous area 1.2 mm rigid plastic signs. UK hazard signs - A4 hazardous area 1.2 mm rigid plastic signs. UK hazard signs - 400 x 300 mm hazardous area 1.2 mm rigid plastic signs. UK hazard signs - 600 x 450 mm hazardous area self adhesive vinyl labels. UK hazard signs - A3 hazardous area 1.2 mm rigid plastic signs. UK hazard signs - A5 hazardous area 1.2 mm rigid plastic signs with self adhesive backing. A2 420 x 598 mm hazardous area self adhesive vinyl labels. UK hazard signs - A2 hazardous area self adhesive vinyl labels. A2 420 x 598 mm hazardous area 1.2 mm rigid plastic signs. UK hazard signs - A2 hazardous area 1.2 mm rigid plastic signs. UK hazard signs - 300 x 250 mm hazardous area 1.2 mm rigid plastic signs with self adhesive backing. UK hazard signs - 600 x 450 mm hazardous area 1.2 mm rigid plastic signs. UK hazard signs - A1 hazardous area self adhesive vinyl labels. 400 x 300 mm hazardous area 1.2 mm rigid plastic signs with s/a backing. 400 x 300 mm hazardous area 1.2 mm rigid plastic signs with self adhesive backing. 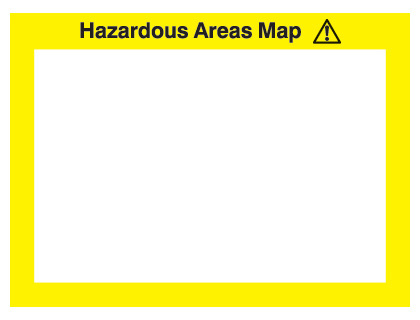 240 x 327 mm hazardous area map signs. UK hazard signs - A1 hazardous area 1.2 mm rigid plastic signs. UK hazard signs - A3 hazardous area 1.2 mm rigid plastic signs with self adhesive backing. 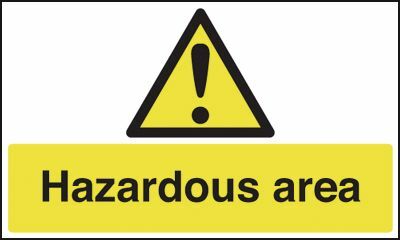 A2 420 x 598 mm hazardous area 1.2 mm rigid plastic signs with s/a backing. UK hazard signs - A2 hazardous area 1.2 mm rigid plastic signs with self adhesive backing. UK hazard signs - 600 x 450 mm hazardous area 1.2 mm rigid plastic signs with self adhesive backing. UK hazard signs - A1 hazardous area 1.2 mm rigid plastic signs with self adhesive backing. UK hazard signs - A4 hazardous area 1.2 mm rigid plastic signs with self adhesive backing. 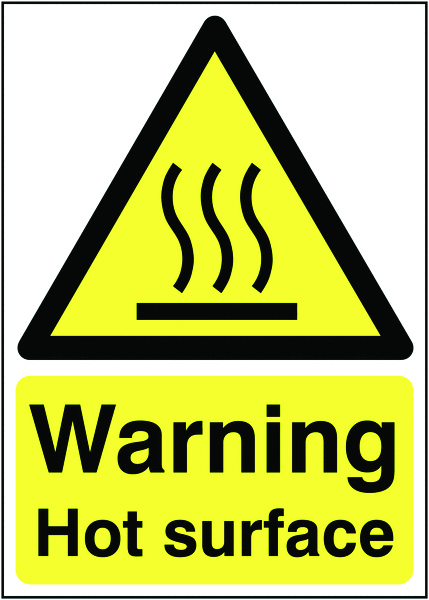 UK hazard signs - 150 x 125 mm high temperature self adhesive vinyl labels. UK hazard signs - A5 high temperature self adhesive vinyl labels. UK hazard signs - 150 x 125 mm high temperature 1.2 mm rigid plastic signs. UK hazard signs - A5 high temperature 1.2 mm rigid plastic signs. UK hazard signs - 300 x 250 mm high temperature self adhesive vinyl labels. UK hazard signs - A4 high temperature self adhesive vinyl labels. UK hazard signs - A3 high temperature self adhesive vinyl labels. UK hazard signs - 400 x 300 mm high temperature self adhesive vinyl labels. UK hazard signs - 150 x 125 mm high temperature 1.2 mm rigid plastic signs with self adhesive backing. UK hazard signs - 300 x 250 mm high temperature 1.2 mm rigid plastic signs. UK hazard signs - A4 high temperature 1.2 mm rigid plastic signs. UK hazard signs - 400 x 300 mm high temperature 1.2 mm rigid plastic signs. UK hazard signs - A3 high temperature 1.2 mm rigid plastic signs. UK hazard signs - A5 high temperature 1.2 mm rigid plastic signs with self adhesive backing. A2 420 x 598 mm high temperature self adhesive vinyl labels. UK hazard signs - A2 high temperature self adhesive vinyl labels. A2 420 x 598 mm high temperature 1.2 mm rigid plastic signs. UK hazard signs - A2 high temperature 1.2 mm rigid plastic signs. UK hazard signs - 300 x 250 mm high temperature 1.2 mm rigid plastic signs with self adhesive backing. UK hazard signs - A1 high temperature self adhesive vinyl labels. UK hazard signs - A3 high temperature 1.2 mm rigid plastic signs with self adhesive backing. A2 420 x 598 mm high temperature 1.2 mm rigid plastic signs with s/a backing. UK hazard signs - A2 high temperature 1.2 mm rigid plastic signs with self adhesive backing. 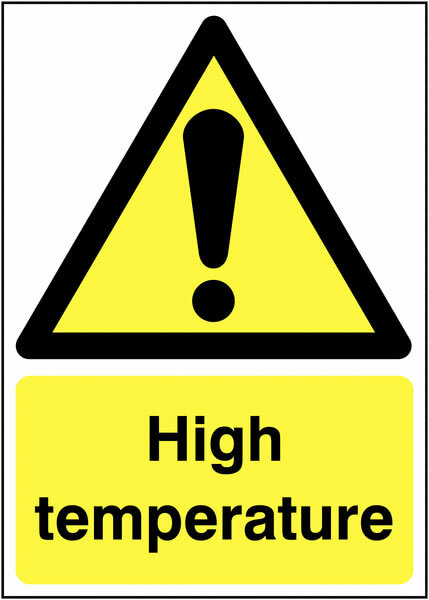 UK hazard signs - A1 high temperature 1.2 mm rigid plastic signs. UK hazard signs - A1 high temperature 1.2 mm rigid plastic signs with self adhesive backing. UK hazard signs - A4 high temperature 1.2 mm rigid plastic signs with self adhesive backing. UK hazard signs - A4 warning hot surface self adhesive vinyl labels. UK hazard signs - A4 warning hot surface 1.2 mm rigid plastic signs. UK hazard signs - A4 warning hot surface 1.2 mm rigid plastic signs with self adhesive backing. UK hazard signs - 70 x 50 warning laser hazard self adhesive vinyl labels. UK hazard signs - 70 x 50 caution laser beam self adhesive vinyl labels. UK hazard signs - 70 x 50 caution laser beam 1.2 mm rigid plastic signs. UK hazard signs - 70 x 50 warning laser hazard 1.2 mm rigid plastic signs. UK hazard signs - 175 x 125 mm caution laser beam self adhesive vinyl labels. 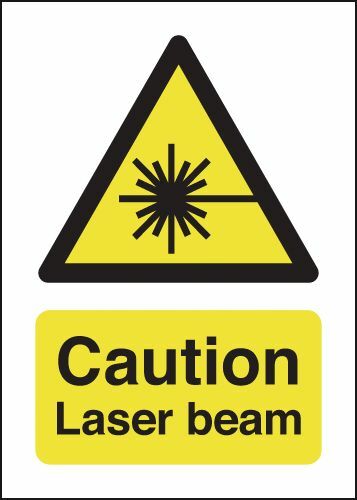 UK hazard signs - 175 x 125 mm caution laser beam 1.2 mm rigid plastic signs. 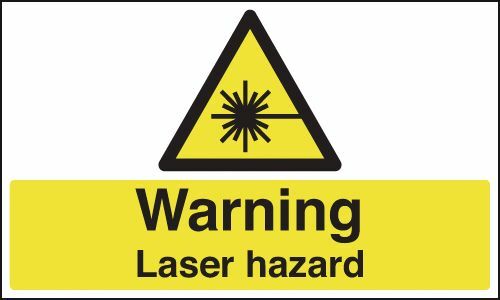 UK hazard signs - 70 x 50 caution laser beam 1.2 mm rigid plastic signs with self adhesive backing. 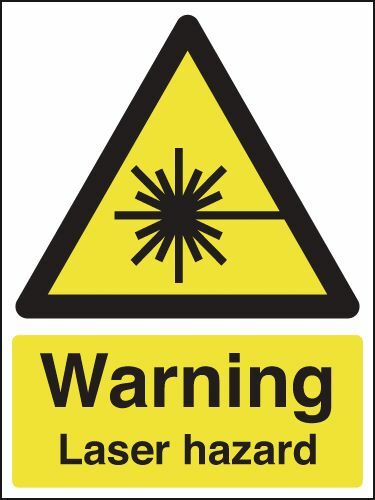 UK hazard signs - 175 x 125 mm caution laser beam 1.2 mm rigid plastic signs with self adhesive backing. 25 x 25 laser SYMBOLS self adhesive label. 50 x 100 mm warning laser hazard 1.2 mm rigid plastic signs with s/a backing. 50 x 100 mm warning laser hazard 1.2 mm rigid plastic signs with self adhesive backing. 100 x 250 mm warning laser hazard 1.2 mm rigid plastic signs with s/a backing. 100 x 250 mm warning laser hazard 1.2 mm rigid plastic signs with self adhesive backing. 400 x 300 mm warning laser hazard 1.2 mm rigid plastic signs with s/a backing. 400 x 300 mm warning laser hazard 1.2 mm rigid plastic signs with self adhesive backing. UK hazard signs - A5 liquid nitrogen self adhesive vinyl labels. UK hazard signs - 175 x 125 mm liquid nitrogen self adhesive vinyl labels. 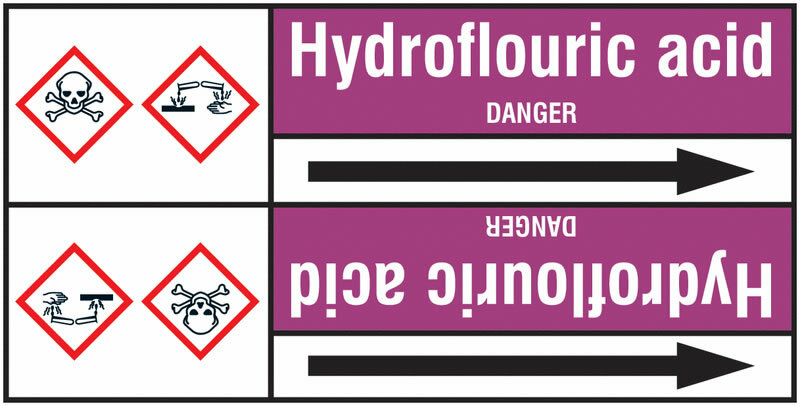 UK hazard signs - 250 x 200 mm liquid nitrogen self adhesive vinyl labels. UK hazard signs - 175 x 125 mm liquid nitrogen 1.2 mm rigid plastic signs. UK hazard signs - A5 liquid nitrogen 1.2 mm rigid plastic signs. 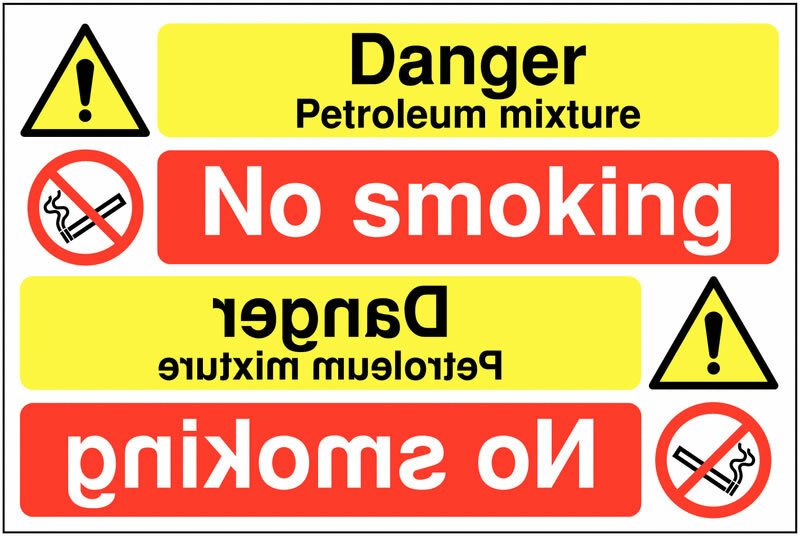 UK hazard signs - 300 x 250 mm liquid nitrogen self adhesive vinyl labels. UK hazard signs - 250 x 200 mm liquid nitrogen 1.2 mm rigid plastic signs. UK hazard signs - A4 liquid nitrogen self adhesive vinyl labels. UK hazard signs - A3 liquid nitrogen self adhesive vinyl labels. UK hazard signs - 175 x 125 mm liquid nitrogen 1.2 mm rigid plastic signs with self adhesive backing. UK hazard signs - 300 x 250 mm liquid nitrogen 1.2 mm rigid plastic signs. UK hazard signs - A4 liquid nitrogen 1.2 mm rigid plastic signs. UK hazard signs - A5 liquid nitrogen 1.2 mm rigid plastic signs with self adhesive backing. UK hazard signs - A3 liquid nitrogen 1.2 mm rigid plastic signs. A2 420 x 598 mm liquid nitrogen self adhesive vinyl labels. UK hazard signs - A2 liquid nitrogen self adhesive vinyl labels. A2 420 x 598 mm liquid nitrogen 1.2 mm rigid plastic signs. UK hazard signs - A2 liquid nitrogen 1.2 mm rigid plastic signs. 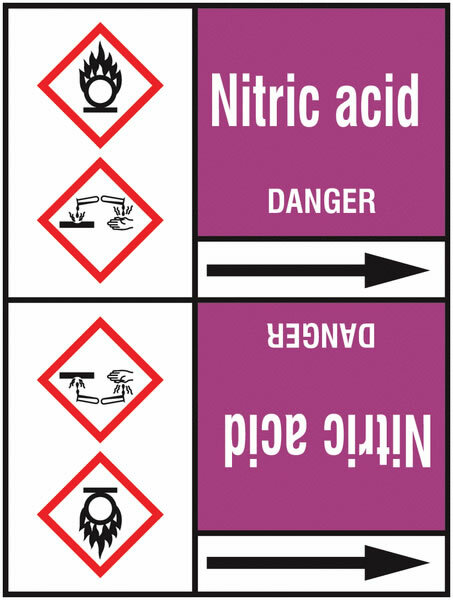 UK hazard signs - A1 liquid nitrogen self adhesive vinyl labels. UK hazard signs - A1 liquid nitrogen 1.2 mm rigid plastic signs. UK hazard signs - A3 liquid nitrogen 1.2 mm rigid plastic signs with self adhesive backing. 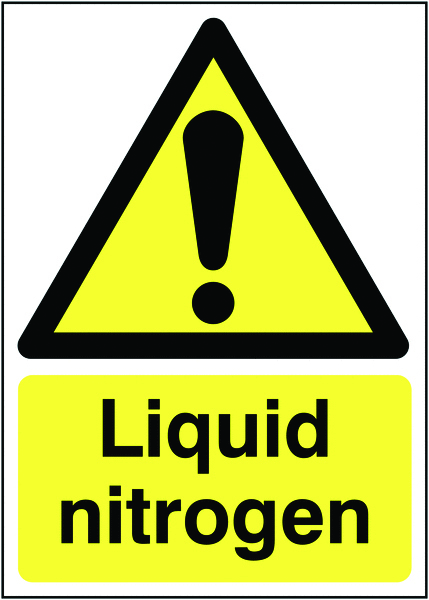 A2 420 x 598 mm liquid nitrogen 1.2 mm rigid plastic signs with s/a backing. UK hazard signs - A2 liquid nitrogen 1.2 mm rigid plastic signs with self adhesive backing. UK hazard signs - A1 liquid nitrogen 1.2 mm rigid plastic signs with self adhesive backing. UK hazard signs - A4 liquid nitrogen 1.2 mm rigid plastic signs with self adhesive backing. UK hazard signs - 50 x 100 mm caution this machine runs hot self adhesive vinyl labels. 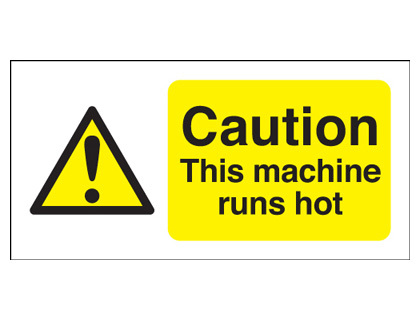 UK hazard signs - 50 x 100 mm caution this machine runs hot 1.2 mm rigid plastic signs. UK hazard signs - A5 caution guard dogs on patrol self adhesive vinyl labels. UK hazard signs - 250 x 200 mm caution guard dogs on patrol self adhesive vinyl labels. UK hazard signs - A5 caution guard dogs on patrol 1.2 mm rigid plastic signs. UK hazard signs - 400 x 300 mm caution guard dogs on patrol self adhesive vinyl labels. 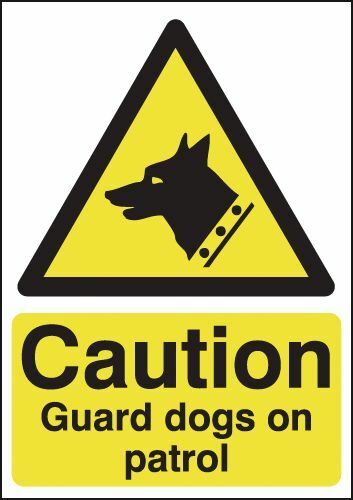 UK hazard signs - 250 x 200 mm caution guard dogs on patrol 1.2 mm rigid plastic signs. UK hazard signs - A4 caution guard dogs on patrol self adhesive vinyl labels. 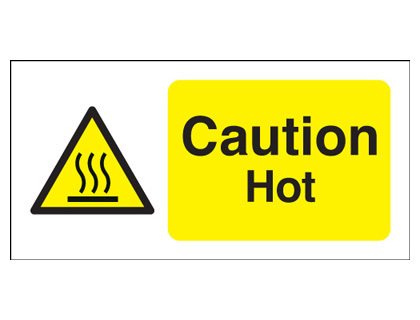 UK hazard signs - 50 x 100 mm caution this machine runs hot 1.2 mm rigid plastic signs with self adhesive backing. UK hazard signs - A3 caution guard dogs on patrol self adhesive vinyl labels. UK hazard signs - A4 caution guard dogs on patrol 1.2 mm rigid plastic signs. UK hazard signs - 400 x 300 mm caution guard dogs on patrol 1.2 mm rigid plastic signs. UK hazard signs - 450 x 600 mm caution guard dogs on patrol self adhesive vinyl labels. UK hazard signs - A3 caution guard dogs on patrol 1.2 mm rigid plastic signs. UK hazard signs - A5 caution guard dogs on patrol 1.2 mm rigid plastic signs with self adhesive backing. UK hazard signs - 250 x 200 mm caution guard dogs on patrol 1.2 mm rigid plastic signs with self adhesive backing. A2 420 x 598 mm Caution guard dogs on patrol self adhesive vinyl labels. UK hazard signs - A2 caution guard dogs on patrol self adhesive vinyl labels. UK hazard signs - 800 x 600 mm caution guard dogs on patrol self adhesive vinyl labels. UK hazard signs - 450 x 600 mm caution guard dogs on patrol 1.2 mm rigid plastic signs. UK hazard signs - A1 caution guard dogs on patrol self adhesive vinyl labels. A2 420 x 598 mm Caution guard dogs on patrol on 1.2 mm rigid plastic signs. UK hazard signs - A2 caution guard dogs on patrol-ob 1.2 mm rigid plastic signs. UK hazard signs - 400 x 300 mm caution guard dogs on patrol 1.2 mm rigid plastic signs with self adhesive backing. UK hazard signs - 800 x 600 mm caution guard dogs on patrol 1.2 mm rigid plastic signs. UK hazard signs - A1 caution guard dogs on patrol 1.2 mm rigid plastic signs. UK hazard signs - A3 caution guard dogs on patrol 1.2 mm rigid plastic signs with self adhesive backing. 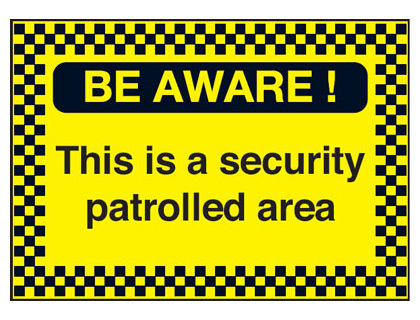 UK hazard signs - 450 x 600 mm caution guard dogs on patrol 1.2 mm rigid plastic signs with self adhesive backing. 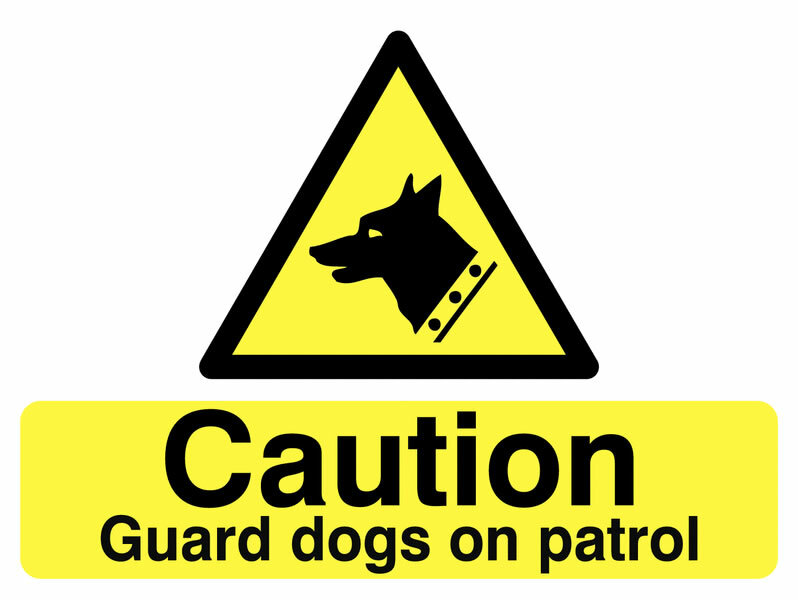 A2 420 x 598 mm Caution guard dogs on patrol 1.2 mm rigid plastic signs with s/a backing. UK hazard signs - A2 caution guard dogs on patrol 1.2 mm rigid plastic signs with self adhesive backing. UK hazard signs - A1 caution guard dogs on patrol 1.2 mm rigid plastic signs with self adhesive backing. UK hazard signs - 800 x 600 mm caution guard dogs on patrol 1.2 mm rigid plastic signs with self adhesive backing. UK hazard signs - A4 caution guard dogs on patrol 1.2 mm rigid plastic signs with self adhesive backing. 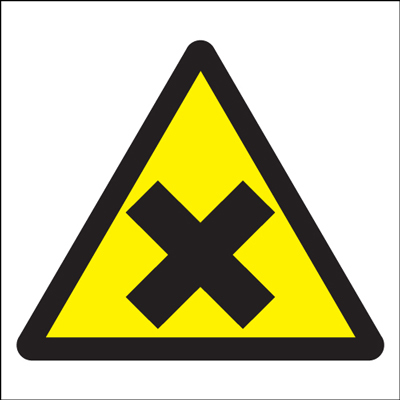 UK hazard signs - 150 x 125 mm caution mIndustrial your head self adhesive vinyl labels. 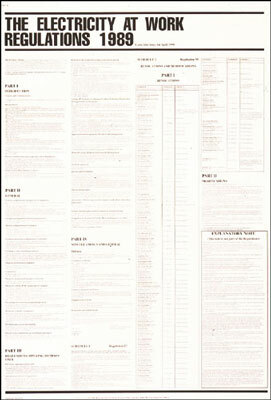 UK hazard signs - 100 x 250 mm caution mIndustrial your head self adhesive vinyl labels. 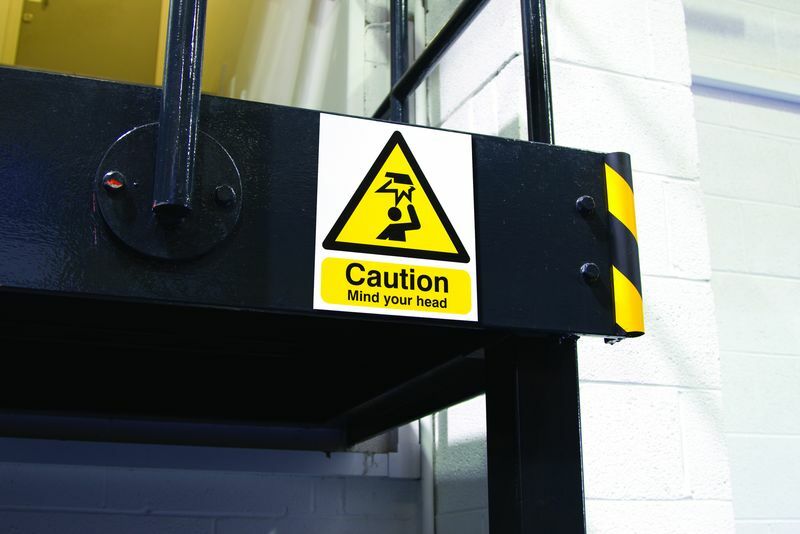 UK hazard signs - 150 x 125 mm caution mIndustrial your head 1.2 mm rigid plastic signs. 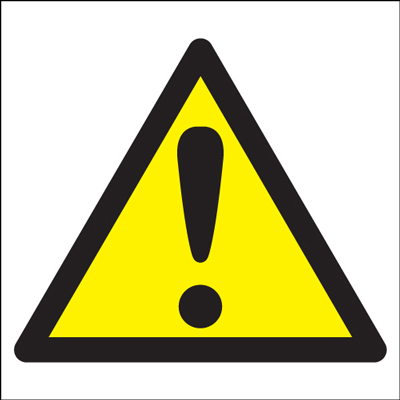 UK hazard signs - 250 x 200 mm caution mIndustrial your head self adhesive vinyl labels. UK hazard signs - 150 x 300 mm mIndustrial your head self adhesive vinyl labels. UK hazard signs - A5 warning mIndustrial your head self adhesive vinyl labels. UK hazard signs - A5 warning mIndustrial your head 1.2 mm rigid plastic signs. UK hazard signs - 60 x 400 mm mIndustrial your head self adhesive vinyl labels. UK hazard signs - 100 x 250 mm caution mIndustrial your head 1.2 mm rigid plastic signs. UK hazard signs - 300 x 250 mm caution mIndustrial your head self adhesive vinyl labels. UK hazard signs - 150 x 300 mm mIndustrial your head 1.2 mm rigid plastic signs. UK hazard signs - 60 x 400 mm mIndustrial your head 1.2 mm rigid plastic signs. UK hazard signs - 250 x 200 mm caution mIndustrial your head 1.2 mm rigid plastic signs. UK hazard signs - A4 warning mIndustrial your head self adhesive vinyl labels. UK hazard signs - A3 warning mIndustrial your head self adhesive vinyl labels. 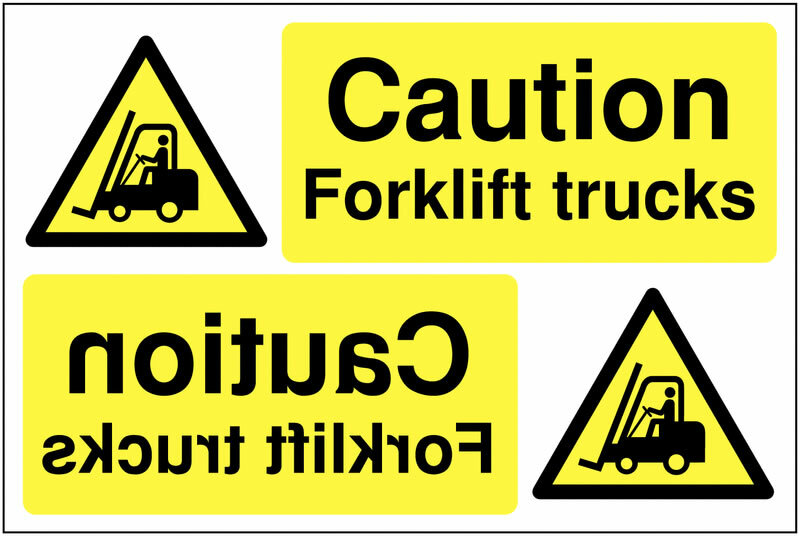 UK hazard signs - 400 x 300 mm caution mIndustrial your head self adhesive vinyl labels. 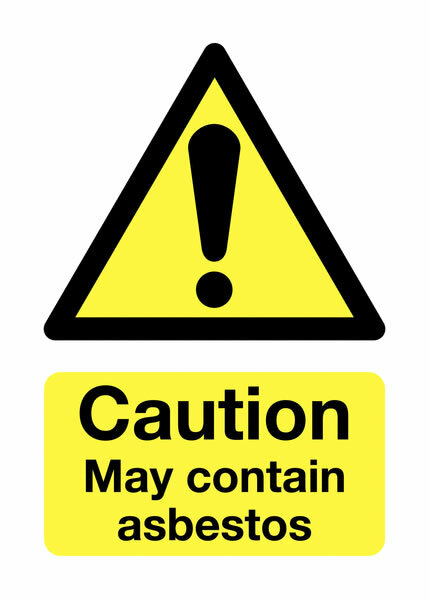 UK hazard signs - 150 x 125 mm caution mIndustrial your head 1.2 mm rigid plastic signs with self adhesive backing. UK hazard signs - 300 x 250 mm caution mIndustrial your head 1.2 mm rigid plastic signs. UK hazard signs - A4 warning mIndustrial your head 1.2 mm rigid plastic signs. 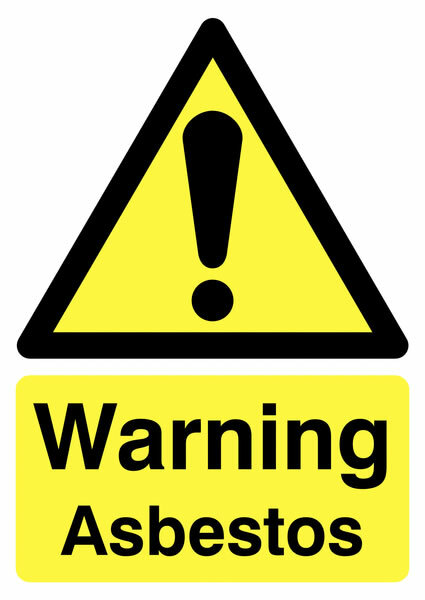 UK hazard signs - A3 warning mIndustrial your head 1.2 mm rigid plastic signs. UK hazard signs - 60 x 400 mm mIndustrial your head 1.2 mm rigid plastic signs with self adhesive backing. UK hazard signs - 400 x 300 mm caution mIndustrial your head 1.2 mm rigid plastic signs. UK hazard signs - A5 warning mIndustrial your head 1.2 mm rigid plastic signs with self adhesive backing. UK hazard signs - 150 x 300 mm mIndustrial your head 1.2 mm rigid plastic signs with self adhesive backing. UK hazard signs - 250 x 200 mm caution mIndustrial your head 1.2 mm rigid plastic signs with self adhesive backing. A2 420 x 598 mm warning mind your head self adhesive vinyl labels. UK hazard signs - A2 warning mIndustrial your head self adhesive vinyl labels. A2 420 x 598 mm warning mind your head 1.2 mm rigid plastic signs. UK hazard signs - A2 warning mIndustrial your head 1.2 mm rigid plastic signs. 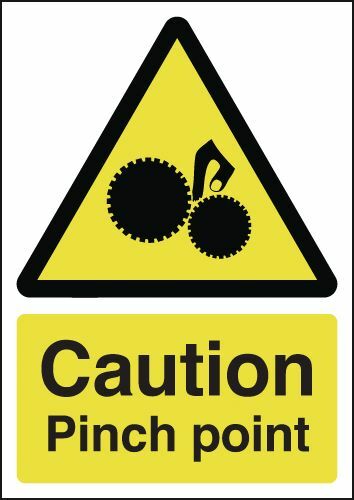 UK hazard signs - 300 x 250 mm caution mIndustrial your head 1.2 mm rigid plastic signs with self adhesive backing. UK hazard signs - A1 warning mIndustrial your head self adhesive vinyl labels. 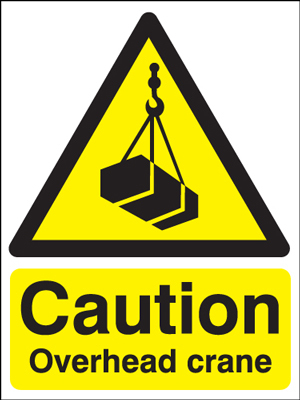 UK hazard signs - 400 x 300 mm caution mIndustrial your head 1.2 mm rigid plastic signs with self adhesive backing. UK hazard signs - A1 warning mIndustrial your head 1.2 mm rigid plastic signs. 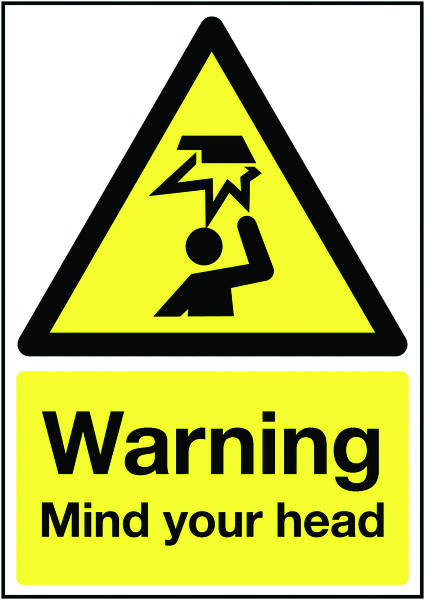 UK hazard signs - A3 warning mIndustrial your head 1.2 mm rigid plastic signs with self adhesive backing. 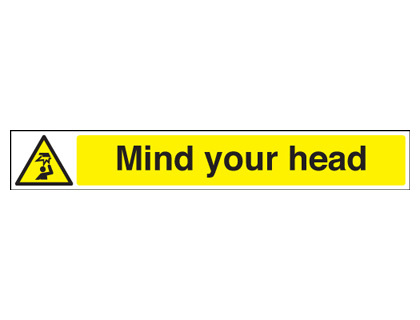 A2 420 x 598 mm warning mind your head 1.2 mm rigid plastic signs with s/a backing. UK hazard signs - A2 warning mIndustrial your head 1.2 mm rigid plastic signs with self adhesive backing. UK hazard signs - A1 warning mIndustrial your head 1.2 mm rigid plastic signs with self adhesive backing. UK hazard signs - A4 warning mIndustrial your head 1.2 mm rigid plastic signs with self adhesive backing. 60 x 400 mind the step self adhesive vinyl labels. UK hazard signs - 60 x 400 mm mmind the step self adhesive vinyl labels. 60 x 400 mind the step 1.2 mm rigid plastic signs. 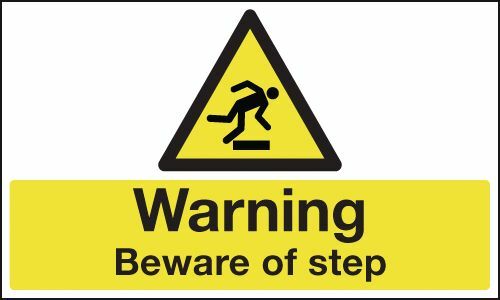 UK hazard signs - 60 x 400 mm mmind the step 1.2 mm rigid plastic signs. 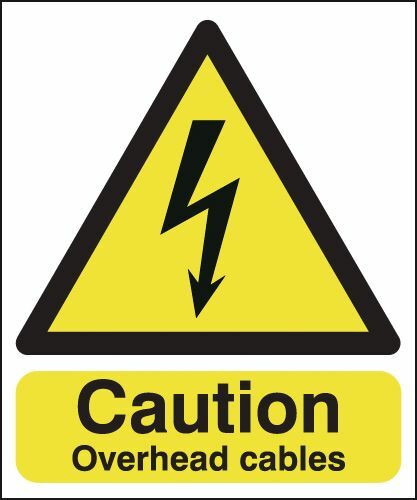 UK hazard signs - 150 x 125 mm caution overhead cables self adhesive vinyl labels. 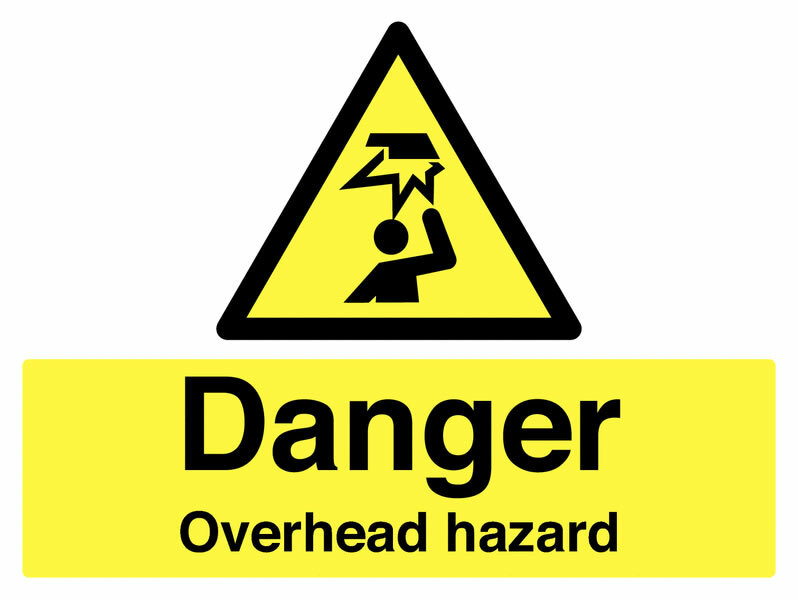 UK hazard signs - 150 x 125 mm caution overhead cables 1.2 mm rigid plastic signs. 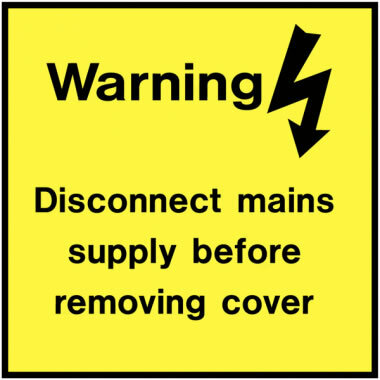 UK hazard signs - 300 x 250 mm caution overhead cables self adhesive vinyl labels. UK hazard signs - 400 x 300 mm caution overhead cables self adhesive vinyl labels. 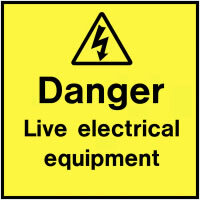 UK hazard signs - 150 x 125 mm caution overhead cables 1.2 mm rigid plastic signs with self adhesive backing. 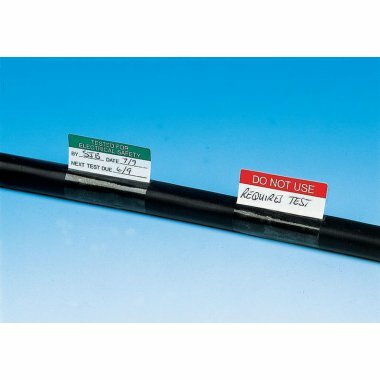 UK hazard signs - 300 x 250 mm caution overhead cables 1.2 mm rigid plastic signs. UK hazard signs - 400 x 300 mm caution overhead cables 1.2 mm rigid plastic signs. UK hazard signs - 300 x 250 mm caution overhead cables 1.2 mm rigid plastic signs with self adhesive backing. UK hazard signs - 400 x 300 mm caution overhead cables 1.2 mm rigid plastic signs with self adhesive backing. 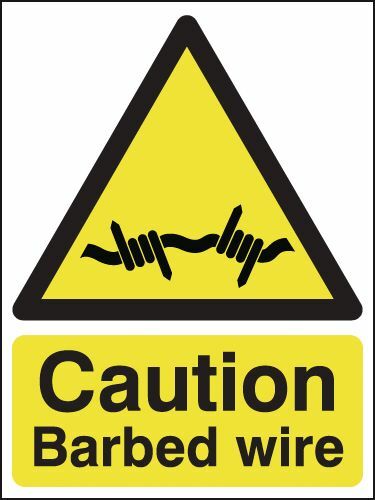 UK hazard signs - 400 x 300 mm caution barbed wire self adhesive vinyl labels. UK hazard signs - 400 x 300 mm caution barbed wire 1.2 mm rigid plastic signs. UK hazard signs - 400 x 300 mm caution barbed wire 1.2 mm rigid plastic signs with self adhesive backing. A2 420 x 598 mm be aware! this is a security self adhesive vinyl labels. UK hazard signs - A2 be aware! this is a security self adhesive vinyl labels. A2 420 x 598 mm be aware! this is a security 1.2 mm rigid plastic signs. UK hazard signs - A2 be aware! this is a security 1.2 mm rigid plastic signs. A2 420 x 598 mm be aware! this is a security 1.2 mm rigid plastic signs with s/a backing. UK hazard signs - A2 be aware! this is a security 1.2 mm rigid plastic signs with self adhesive backing. A5 sound horn drive slowly self adhesive vinyl labels. UK hazard signs - A5 sound horn drive slowly self adhesive vinyl labels. A5 sound horn drive slowly 1.2 mm rigid plastic signs. UK hazard signs - A5 sound horn drive slowly 1.2 mm rigid plastic signs. 400 x 300 mm sound horn drive slowly self adhesive vinyl labels. UK hazard signs - 400 x 300 mm sound horn drive slowly self adhesive vinyl labels. 350 x 250 mm sound horn self adhesive vinyl labels. UK hazard signs - 350 x 250 mm sound horn self adhesive vinyl labels. A4 sound horn drive slowly self adhesive vinyl labels. UK hazard signs - A4 sound horn drive slowly self adhesive vinyl labels. A3 sound horn drive slowly self adhesive vinyl labels. UK hazard signs - A3 sound horn drive slowly self adhesive vinyl labels. 350 x 250 mm sound horn 1.2 mm rigid plastic signs. UK hazard signs - 350 x 250 mm sound horn 1.2 mm rigid plastic signs. A4 sound horn drive slowly 1.2 mm rigid plastic signs. UK hazard signs - A4 sound horn drive slowly 1.2 mm rigid plastic signs. 400 x 300 mm sound horn drive slowly 1.2 mm rigid plastic signs. UK hazard signs - 400 x 300 mm sound horn drive slowly 1.2 mm rigid plastic signs. A3 sound horn drive slowly 1.2 mm rigid plastic signs. UK hazard signs - A3 sound horn drive slowly 1.2 mm rigid plastic signs. A5 sound horn drive slowly 1.2 mm rigid plastic signs with s/a backing. UK hazard signs - A5 sound horn drive slowly 1.2 mm rigid plastic signs with self adhesive backing. A2 420 x 598 mm sound horn drive slowly self adhesive vinyl labels. UK hazard signs - A2 sound horn drive slowly self adhesive vinyl labels. A2 420 x 598 mm sound horn drive slowly 1.2 mm rigid plastic signs. 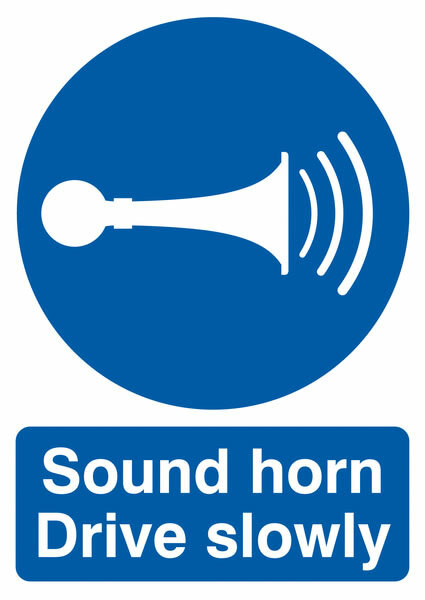 UK hazard signs - A2 sound horn drive slowly 1.2 mm rigid plastic signs. A1 sound horn drive slowly self adhesive vinyl labels. UK hazard signs - A1 sound horn drive slowly self adhesive vinyl labels. 350 x 250 mm sound horn 1.2 mm rigid plastic signs with s/a backing. UK hazard signs - 350 x 250 mm sound horn 1.2 mm rigid plastic signs with self adhesive backing. 400 x 300 mm sound horn drive slowly 1.2 mm rigid plastic signs with s/a backing. UK hazard signs - 400 x 300 mm sound horn drive slowly 1.2 mm rigid plastic signs with self adhesive backing. A1 sound horn drive slowly 1.2 mm rigid plastic signs. UK hazard signs - A1 sound horn drive slowly 1.2 mm rigid plastic signs. A3 sound horn drive slowly 1.2 mm rigid plastic signs with s/a backing. UK hazard signs - A3 sound horn drive slowly 1.2 mm rigid plastic signs with self adhesive backing. A2 420 x 598 mm sound horn drive slowly 1.2 mm rigid plastic signs with s/a backing. 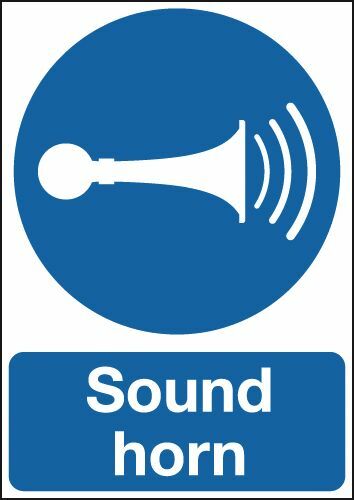 UK hazard signs - A2 sound horn drive slowly 1.2 mm rigid plastic signs with self adhesive backing. A1 sound horn drive slowly 1.2 mm rigid plastic signs with s/a backing. UK hazard signs - A1 sound horn drive slowly 1.2 mm rigid plastic signs with self adhesive backing. A4 sound horn drive slowly 1.2 mm rigid plastic signs with s/a backing. UK hazard signs - A4 sound horn drive slowly 1.2 mm rigid plastic signs with self adhesive backing. UK hazard signs - A5 warning beware of step self adhesive vinyl labels. UK hazard signs - 100 x 250 mm beware of step self adhesive vinyl labels. UK hazard signs - 150 x 300 mm beware of step self adhesive vinyl labels. UK hazard signs - A5 warning beware of step 1.2 mm rigid plastic signs. UK hazard signs - 100 x 250 mm beware of step 1.2 mm rigid plastic signs. UK hazard signs - 150 x 300 mm beware of step 1.2 mm rigid plastic signs. UK hazard signs - 75 x 600 mm beware of step self adhesive vinyl labels. UK hazard signs - 60 x 400 mm beware of step self adhesive vinyl labels. UK hazard signs - A4 warning beware of step self adhesive vinyl labels. UK hazard signs - A3 warning beware of step self adhesive vinyl labels. UK hazard signs - 75 x 600 mm beware of step 1.2 mm rigid plastic signs. UK hazard signs - 60 x 400 mm beware of step 1.2 mm rigid plastic signs. UK hazard signs - A4 warning beware of step 1.2 mm rigid plastic signs. UK hazard signs - A3 warning beware of step 1.2 mm rigid plastic signs. UK hazard signs - A5 warning beware of step 1.2 mm rigid plastic signs with self adhesive backing. A2 420 x 598 mm warning beware of step self adhesive vinyl labels. UK hazard signs - A2 warning beware of step self adhesive vinyl labels. A2 420 x 598 mm warning beware of step 1.2 mm rigid plastic signs. UK hazard signs - A2 warning beware of step 1.2 mm rigid plastic signs. UK hazard signs - A1 warning beware of step self adhesive vinyl labels. UK hazard signs - A1 warning beware of step 1.2 mm rigid plastic signs. UK hazard signs - A3 warning beware of step 1.2 mm rigid plastic signs with self adhesive backing. A2 420 x 598 mm warning beware of step 1.2 mm rigid plastic signs with s/a backing. UK hazard signs - A2 warning beware of step 1.2 mm rigid plastic signs with self adhesive backing. UK hazard signs - A1 warning beware of step 1.2 mm rigid plastic signs with self adhesive backing. UK hazard signs - A4 warning beware of step 1.2 mm rigid plastic signs with self adhesive backing. UK hazard signs - A5 warning low temperature self adhesive vinyl labels. UK hazard signs - A5 warning low temperature 1.2 mm rigid plastic signs. UK hazard signs - A4 warning low temperature self adhesive vinyl labels. UK hazard signs - A3 warning low temperature self adhesive vinyl labels. UK hazard signs - A4 warning low temperature 1.2 mm rigid plastic signs. UK hazard signs - A3 warning low temperature 1.2 mm rigid plastic signs. UK hazard signs - A5 warning low temperature 1.2 mm rigid plastic signs with self adhesive backing. A2 420 x 598 mm warning low temperature self adhesive vinyl labels. UK hazard signs - A2 warning low temperature self adhesive vinyl labels. A2 420 x 598 mm warning low temperature 1.2 mm rigid plastic signs. UK hazard signs - A2 warning low temperature 1.2 mm rigid plastic signs. UK hazard signs - A1 warning low temperature self adhesive vinyl labels. UK hazard signs - A1 warning low temperature 1.2 mm rigid plastic signs. UK hazard signs - A3 warning low temperature 1.2 mm rigid plastic signs with self adhesive backing. A2 420 x 598 mm warning low temperature 1.2 mm rigid plastic signs with s/a backing. UK hazard signs - A2 warning low temperature 1.2 mm rigid plastic signs with self adhesive backing. UK hazard signs - A1 warning low temperature 1.2 mm rigid plastic signs with self adhesive backing. UK hazard signs - A4 warning low temperature 1.2 mm rigid plastic signs with self adhesive backing. 150 x 150 mm toxic hazard SYMBOLS self adhesive vinyl labels. 150 x 125 mm toxic self adhesive vinyl labels. 100 x 250 mm warning toxic self adhesive vinyl labels. 150 x 125 mm toxic 1.2 mm rigid plastic signs. 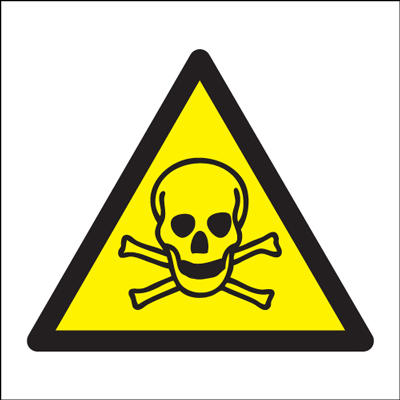 150 x 150 mm toxic hazard SYMBOLS 1.2 mm rigid plastic signs. 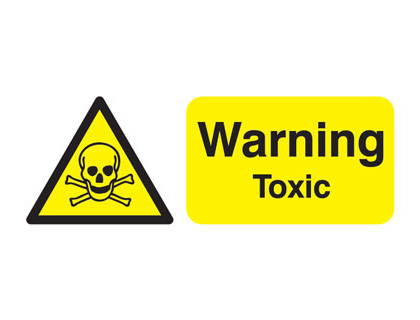 100 x 250 mm warning toxic 1.2 mm rigid plastic signs. 350 x 250 mm toxic self adhesive vinyl labels. 400 x 300 mm warning toxic self adhesive vinyl labels. 350 x 250 mm toxic 1.2 mm rigid plastic signs. 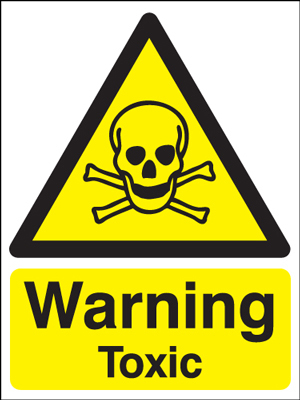 400 x 300 mm warning toxic 1.2 mm rigid plastic signs. UK hazard signs - 200 x 250 mm trespassers will be prosecuted self adhesive vinyl labels. UK hazard signs - 150 x 300 mm trespassers will be prosecuted self adhesive vinyl labels. UK hazard signs - 150 x 300 mm trespassers will be prosecuted 1.2 mm rigid plastic signs. UK hazard signs - 200 x 250 mm trespassers will be prosecuted 1.2 mm rigid plastic signs. UK hazard signs - A4 trespassers will be prosecuted self adhesive vinyl labels. UK hazard signs - 300 x 500 mm trespassers will be prosecuted self adhesive vinyl labels. UK hazard signs - A4 trespassers will be prosecuted 1.2 mm rigid plastic signs. UK hazard signs - 300 x 500 mm trespassers will be prosecuted 1.2 mm rigid plastic signs. UK hazard signs - 450 x 600 mm trespassers will be prosecuted self adhesive vinyl labels. UK hazard signs - 150 x 300 mm trespassers will be prosecuted 1.2 mm rigid plastic signs with self adhesive backing. UK hazard signs - 200 x 250 mm trespassers will be prosecuted 1.2 mm rigid plastic signs with self adhesive backing. UK hazard signs - 450 x 600 mm trespassers will be prosecuted 1.2 mm rigid plastic signs. UK hazard signs - 300 x 500 mm trespassers will be prosecuted 1.2 mm rigid plastic signs with self adhesive backing. 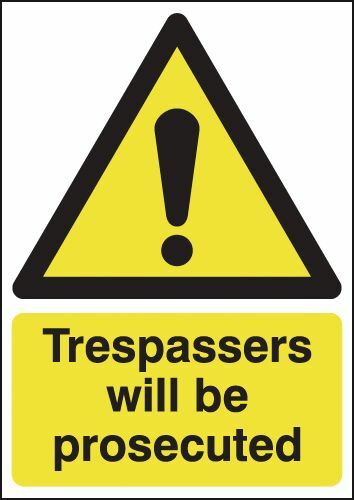 UK hazard signs - 450 x 600 mm trespassers will be prosecuted 1.2 mm rigid plastic signs with self adhesive backing. 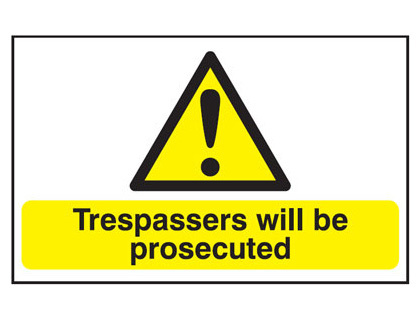 UK hazard signs - A4 trespassers will be prosecuted 1.2 mm rigid plastic signs with self adhesive backing. 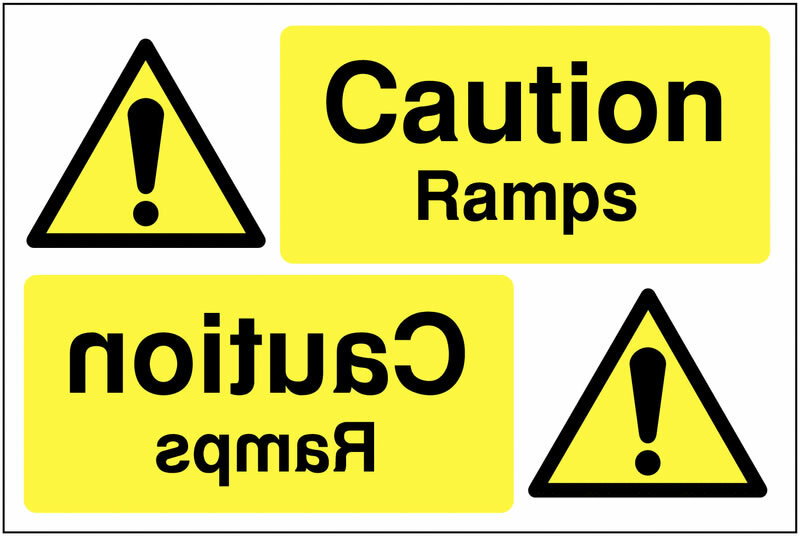 UK hazard signs - 200 x 400 mm caution trip hazard self adhesive vinyl labels. UK hazard signs - 400 x 300 mm caution trip hazard self adhesive vinyl labels. UK hazard signs - 200 x 400 mm caution trip hazard 1.2 mm rigid plastic signs. UK hazard signs - 300 x 600 mm caution trip hazard self adhesive vinyl labels. UK hazard signs - 400 x 300 mm caution trip hazard 1.2 mm rigid plastic signs. UK hazard signs - 300 x 600 mm caution trip hazard 1.2 mm rigid plastic signs. 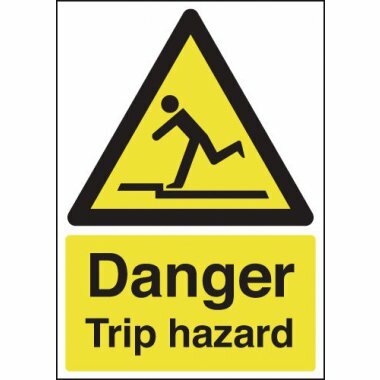 UK hazard signs - 300 x 600 mm caution trip hazard 1.2 mm rigid plastic signs with self adhesive backing. UK hazard signs - A5 caution reversing vehicles self adhesive vinyl labels. UK hazard signs - 250 x 200 mm caution reversing vehicles self adhesive vinyl labels. UK hazard signs - A5 caution reversing vehicles 1.2 mm rigid plastic signs. UK hazard signs - 300 x 250 mm caution reversing vehicles self adhesive vinyl labels. UK hazard signs - 400 x 300 mm caution reversing vehicles self adhesive vinyl labels. UK hazard signs - 400 x 300 mm caution electric vehicles are self adhesive vinyl labels. UK hazard signs - 250 x 200 mm caution reversing vehicles 1.2 mm rigid plastic signs. UK hazard signs - A4 caution reversing vehicles self adhesive vinyl labels. UK hazard signs - A3 caution reversing vehicles self adhesive vinyl labels. UK hazard signs - 300 x 250 mm caution reversing vehicles 1.2 mm rigid plastic signs. UK hazard signs - A4 caution reversing vehicles 1.2 mm rigid plastic signs. UK hazard signs - 400 x 300 mm caution reversing vehicles 1.2 mm rigid plastic signs. UK hazard signs - 400 x 300 mm caution electric vehicles are 1.2 mm rigid plastic signs. UK hazard signs - A3 caution reversing vehicles 1.2 mm rigid plastic signs. UK hazard signs - A5 caution reversing vehicles 1.2 mm rigid plastic signs with self adhesive backing. UK hazard signs - 250 x 200 mm caution reversing vehicles 1.2 mm rigid plastic signs with self adhesive backing. A2 420 x 598 mm Caution reversing vehicles self adhesive vinyl labels. UK hazard signs - A2 caution reversing vehicles self adhesive vinyl labels. UK hazard signs - 300 x 250 mm caution reversing vehicles 1.2 mm rigid plastic signs with self adhesive backing. 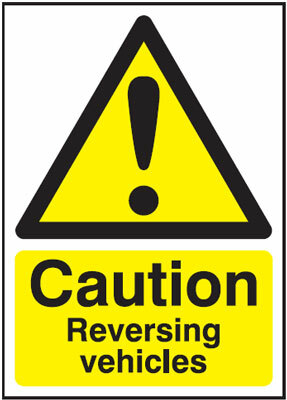 UK hazard signs - A1 caution reversing vehicles self adhesive vinyl labels. A2 420 x 598 mm Caution reversing vehicles 1.2 mm rigid plastic signs. UK hazard signs - A2 caution reversing vehicles 1.2 mm rigid plastic signs. UK hazard signs - 400 x 300 mm caution reversing vehicles 1.2 mm rigid plastic signs with self adhesive backing. 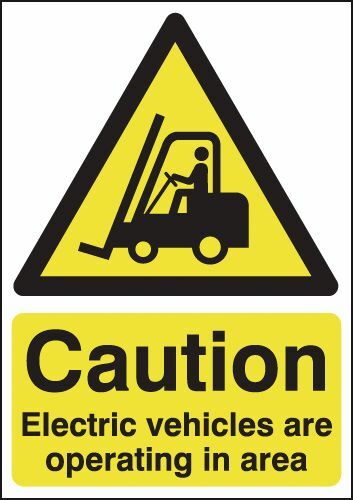 UK hazard signs - 400 x 300 mm caution electric vehicles are 1.2 mm rigid plastic signs with self adhesive backing. UK hazard signs - A1 caution reversing vehicles 1.2 mm rigid plastic signs. UK hazard signs - A3 caution reversing vehicles 1.2 mm rigid plastic signs with self adhesive backing. A2 420 x 598 mm Caution reversing vehicles 1.2 mm rigid plastic signs with s/a backing. UK hazard signs - A2 caution reversing vehicles 1.2 mm rigid plastic signs with self adhesive backing. UK hazard signs - A1 caution reversing vehicles 1.2 mm rigid plastic signs with self adhesive backing. 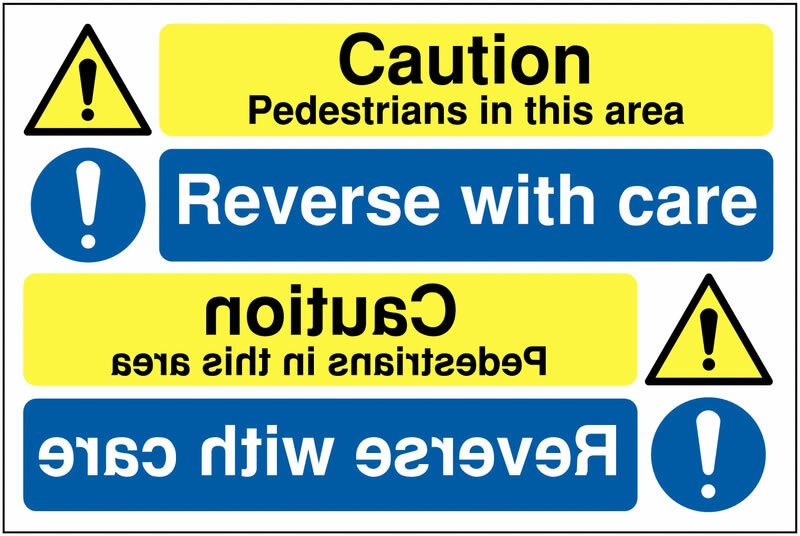 UK hazard signs - A4 caution reversing vehicles 1.2 mm rigid plastic signs with self adhesive backing. 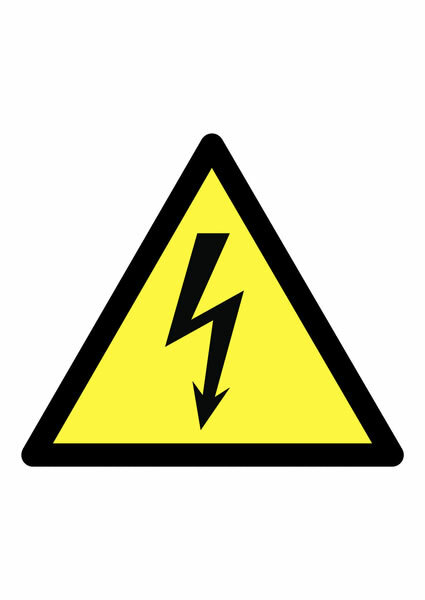 UK hazard signs - 70 x 50 caution 415 volts self adhesive vinyl labels. 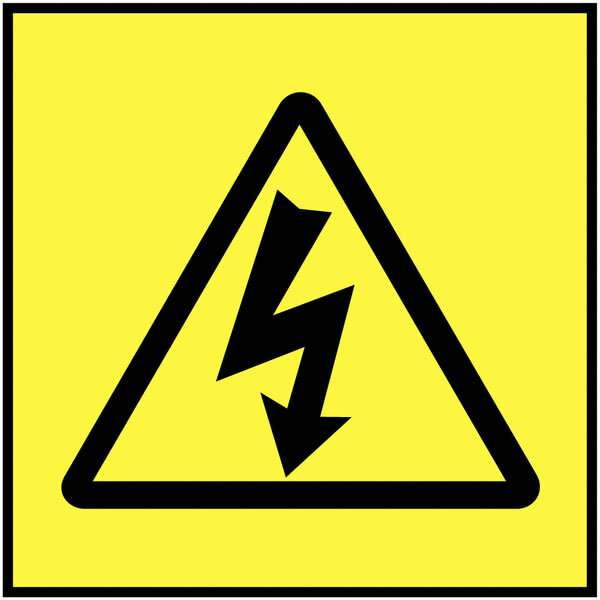 UK hazard signs - 70 x 50 caution 240 volts self adhesive vinyl labels. 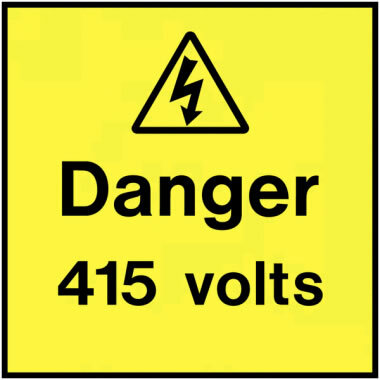 UK hazard signs - 150 x 125 mm caution 415 volts self adhesive vinyl labels. 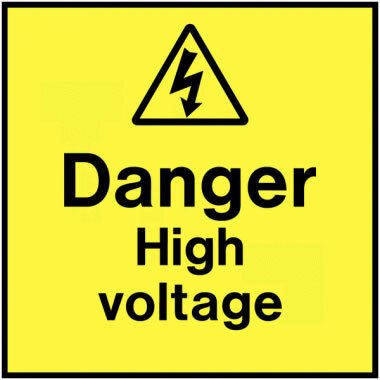 UK hazard signs - 70 x 50 caution 240 volts 1.2 mm rigid plastic signs. 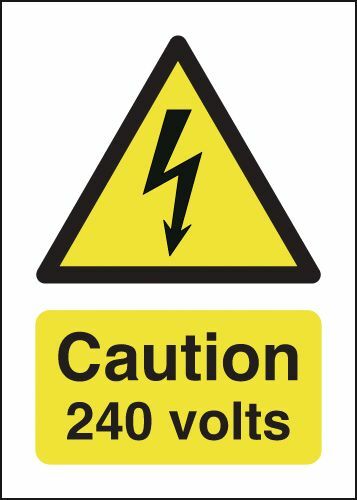 UK hazard signs - 175 x 125 mm caution 240 volts self adhesive vinyl labels. 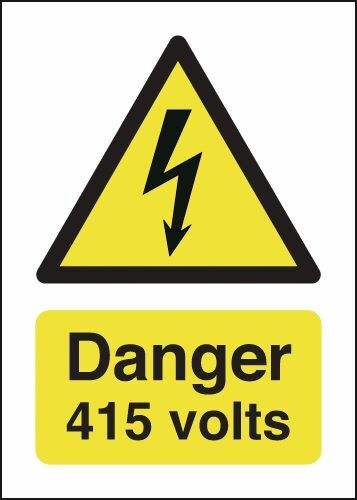 UK hazard signs - 175 x 125 mm caution 415 volts self adhesive vinyl labels. 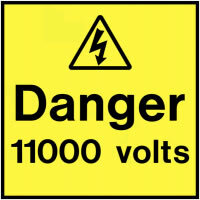 UK hazard signs - 150 x 125 mm caution 415 volts 1.2 mm rigid plastic signs. 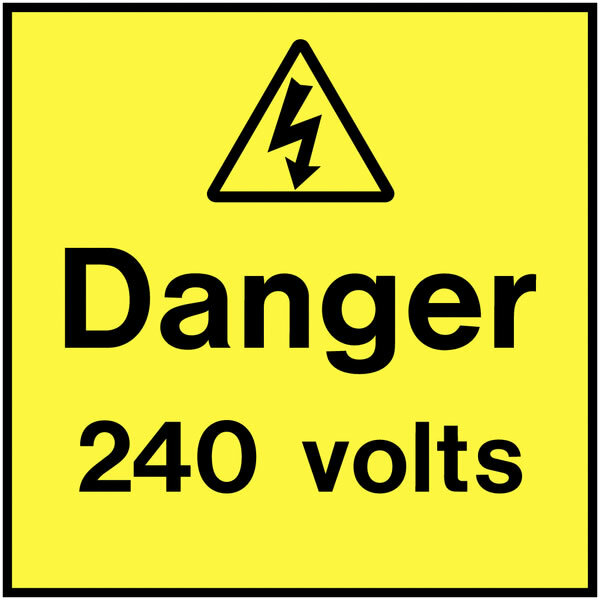 UK hazard signs - 175 x 125 mm caution 240 volts 1.2 mm rigid plastic signs. 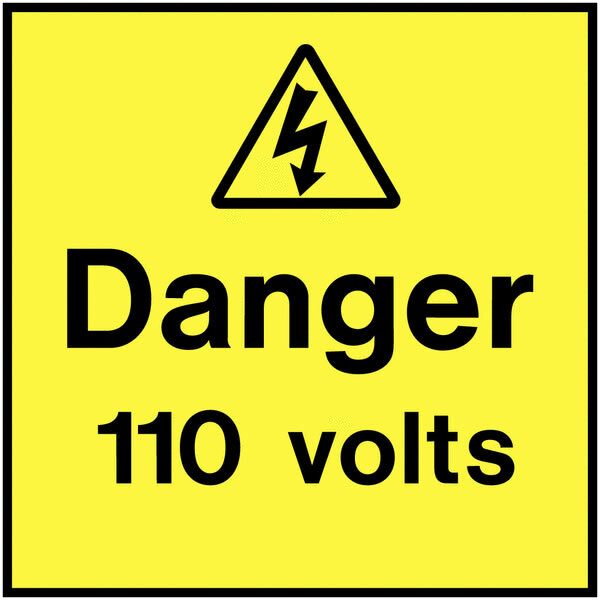 UK hazard signs - 175 x 125 mm caution 415 volts 1.2 mm rigid plastic signs. 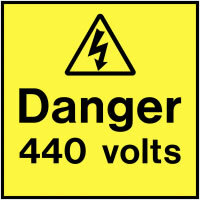 UK hazard signs - 70 x 50 caution 240 volts 1.2 mm rigid plastic signs with self adhesive backing. 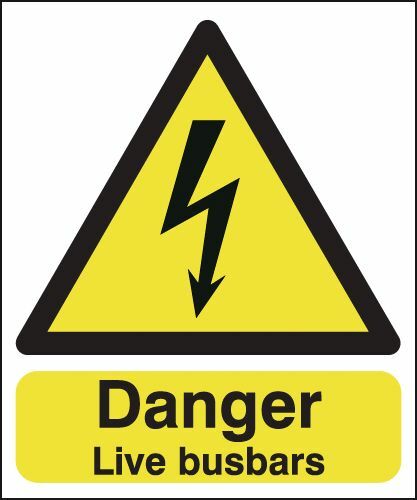 UK hazard signs - 175 x 125 mm caution 240 volts 1.2 mm rigid plastic signs with self adhesive backing. 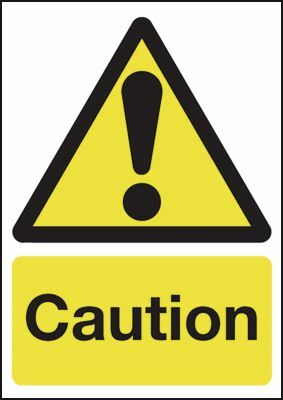 UK hazard signs - 150 x 125 mm caution 415 volts 1.2 mm rigid plastic signs with self adhesive backing. UK hazard signs - A5 caution wet floor self adhesive vinyl labels. 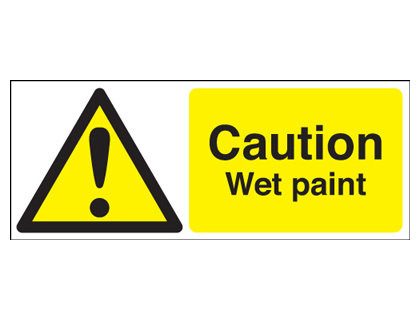 UK hazard signs - 100 x 250 mm caution wet floor self adhesive vinyl labels. UK hazard signs - A5 caution wet floor 1.2 mm rigid plastic signs. UK hazard signs - 100 x 250 mm caution wet floor 1.2 mm rigid plastic signs. UK hazard signs - 300 x 250 mm caution wet floor self adhesive vinyl labels. UK hazard signs - 400 x 300 mm caution wet floor self adhesive vinyl labels. UK hazard signs - A4 caution wet floor self adhesive vinyl labels. UK hazard signs - A3 caution wet floor self adhesive vinyl labels. 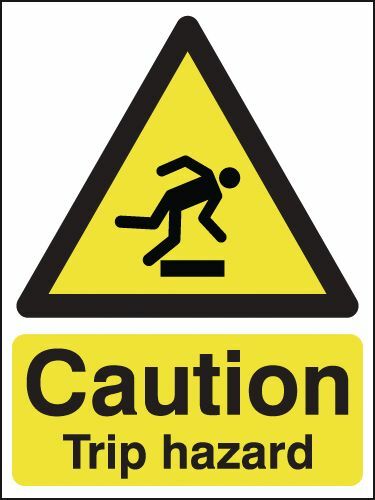 UK hazard signs - 300 x 250 mm caution wet floor 1.2 mm rigid plastic signs. UK hazard signs - A4 caution wet floor 1.2 mm rigid plastic signs. UK hazard signs - 400 x 300 mm caution wet floor 1.2 mm rigid plastic signs. UK hazard signs - A5 caution wet floor 1.2 mm rigid plastic signs with self adhesive backing. A2 420 x 598 mm Caution wet floor self adhesive vinyl labels. UK hazard signs - A2 caution wet floor self adhesive vinyl labels. 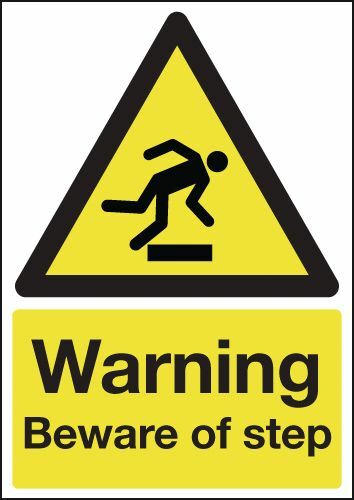 UK hazard signs - 300 x 250 mm caution wet floor 1.2 mm rigid plastic signs with self adhesive backing. UK hazard signs - A1 caution wet floor self adhesive vinyl labels. A2 420 x 598 mm Caution wet floor 1.2 mm rigid plastic signs. 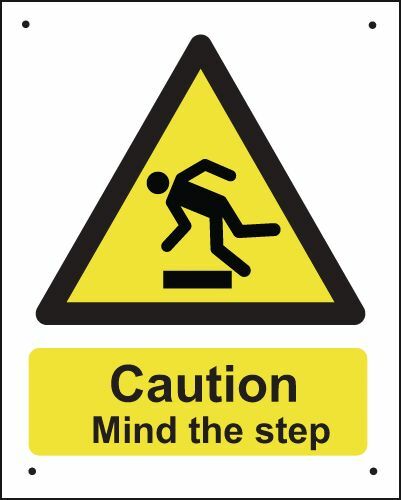 UK hazard signs - A2 caution wet floor 1.2 mm rigid plastic signs. UK hazard signs - A1 caution wet floor 1.2 mm rigid plastic signs. 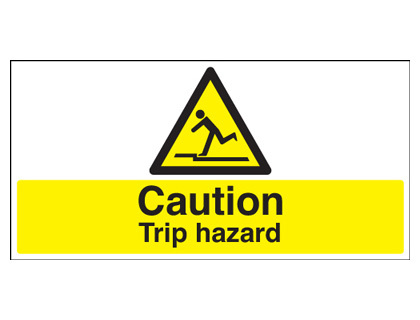 UK hazard signs - A3 caution wet floor 1.2 mm rigid plastic signs with self adhesive backing. A2 420 x 598 mm Caution wet floor 1.2 mm rigid plastic signs with s/a backing. 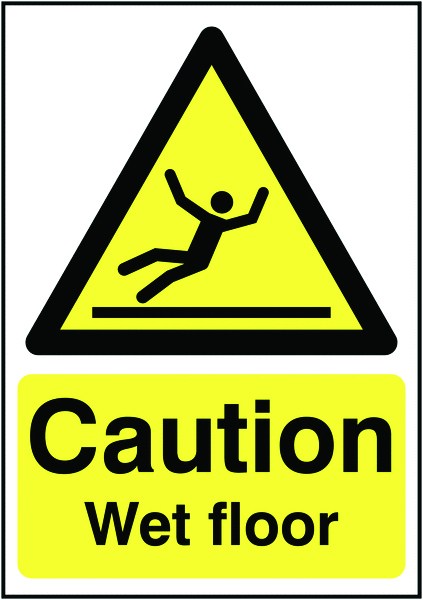 UK hazard signs - A2 caution wet floor 1.2 mm rigid plastic signs with self adhesive backing. 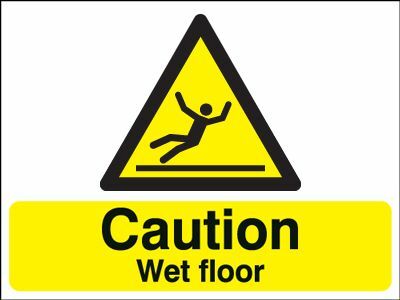 UK hazard signs - A1 caution wet floor 1.2 mm rigid plastic signs with self adhesive backing. UK hazard signs - A4 caution wet floor 1.2 mm rigid plastic signs with self adhesive backing.